It’s been said that the company logo is your visual ambassador and avatar, and now we’ll say the company slogan is your rallying cry. 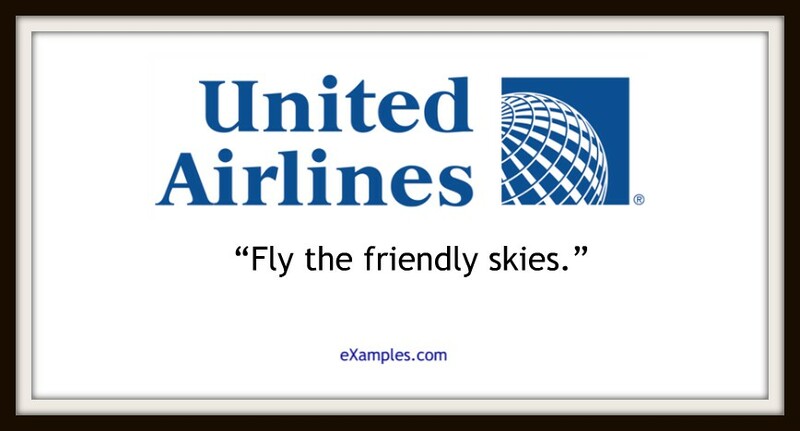 In actuality, your slogan is more like a handle with which people recognize your company culture or guiding principles. It is part of your immediate face-value identity, and will be one of the top 3 elements in the trifecta for the visual appeal of your brand image. You may also see examples of stunning coffeehouse branding design. It is easy to sell the idea that it is important to pay attention to your taglines, your logo designs, and to the rest of the corporate image packaging. All we have to do is tell you that all this is “critical to your success,” and you buy what the experts say. This advice may not always be true, but paying attention to such vanity metrics can be the proverbial cherry on top of your successes. It can trademark you in the minds of your audience. 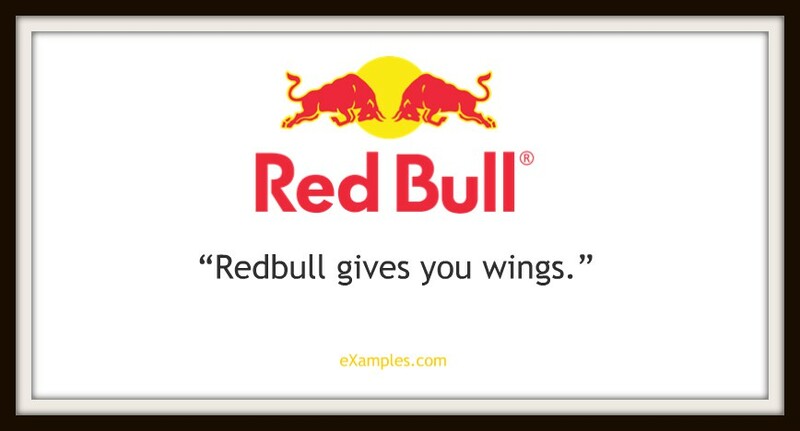 You may also like marketing examples of famous brands. The best illustration will come from the pros themselves. Here are how some of the biggest names out there have tagged themselves, their legacy, and their missions—110 of the most famous ones, in alphabetical order. Note: All logo designs belong to the respective companies. 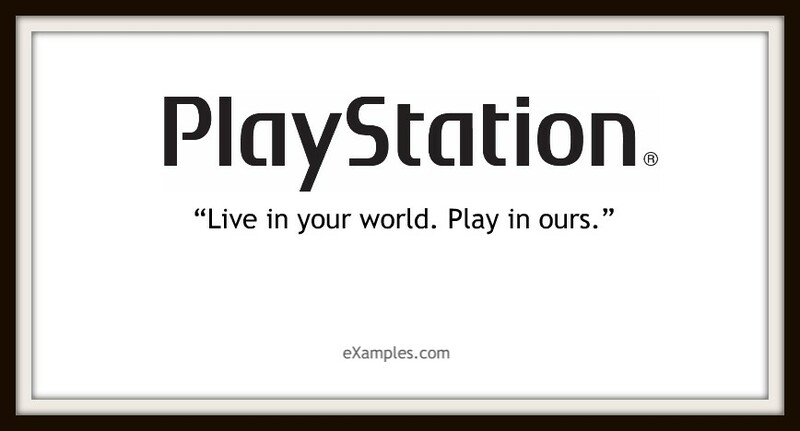 There is every chance these brands will update their slogan at the time of reading. This doesn’t stop you from learning from their past decisions, many of which worked out quite well for them and continue on. You may also check out product packaging designs. This bank understands you. A top example of empathy and value positioning as a solution to your (financial) problems. 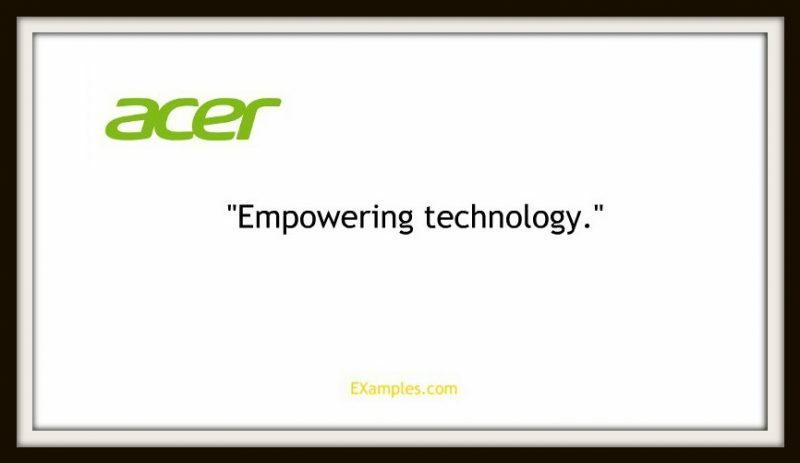 Acer is a multinational electronics and hardware company. Isn’t their tagline rather fitting? 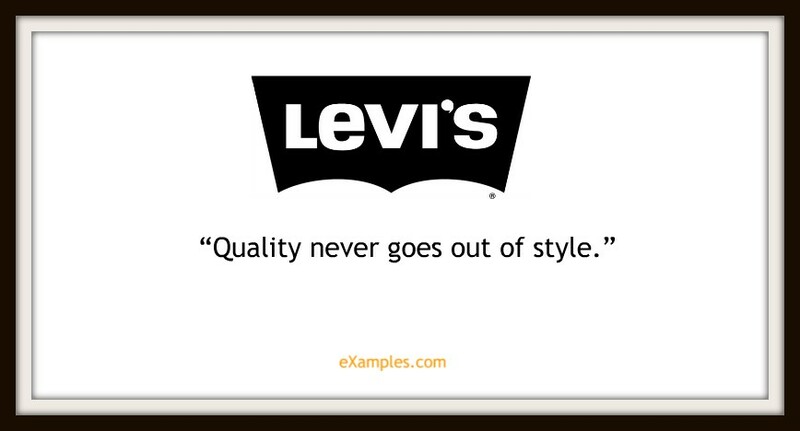 We can learn from this example: while broad concepts about quality are okay, relevance is better. You may also see everything you need to know about brand strategy. Ambition, determination, and confidence in three words. 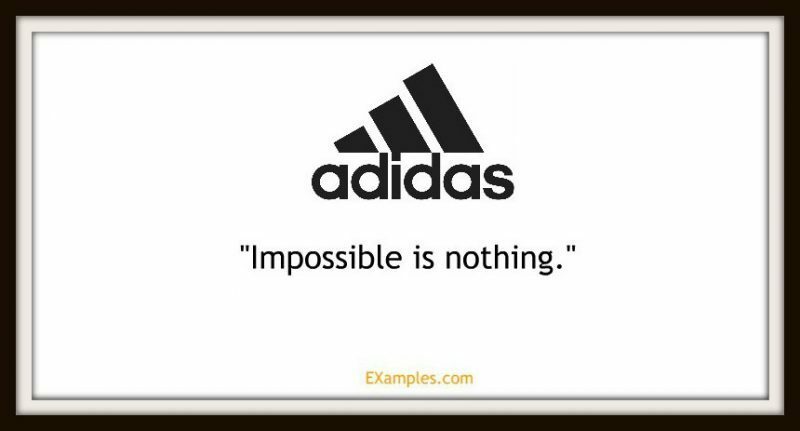 Note how Adidas draws attention to an attitude of the ideal athlete than the fact they sell sports gear. 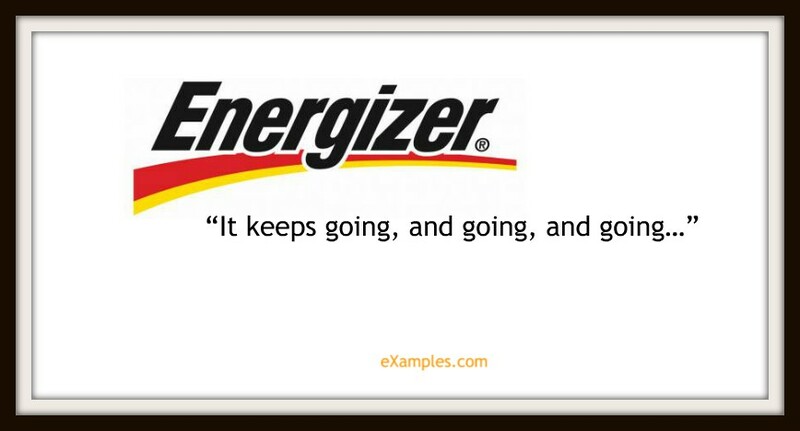 To put it simply, the company’s slogan is the company’s most repeated phrase that, if done right becomes its trademark attitude. 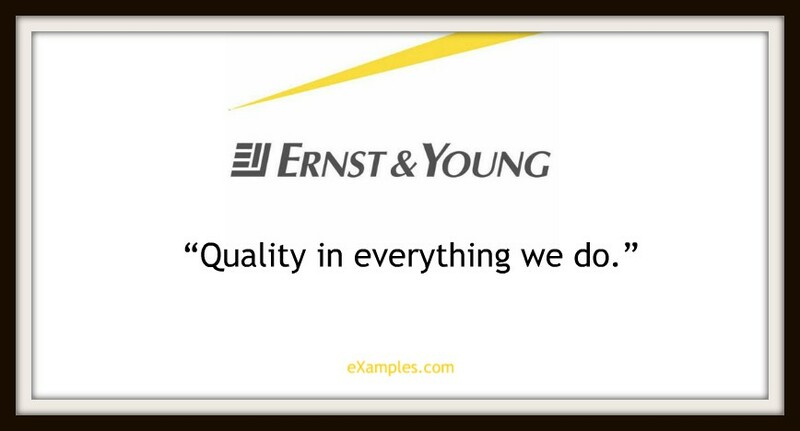 Therefore, the tone of your slogan sets up expectation—from the public, from customers, from employees and shareholders and everyone else involved. 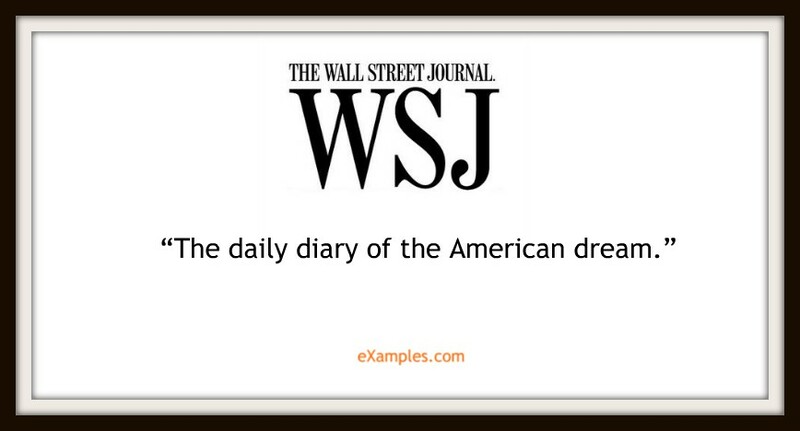 You may also like how to create an executive summary of a marketing plan. 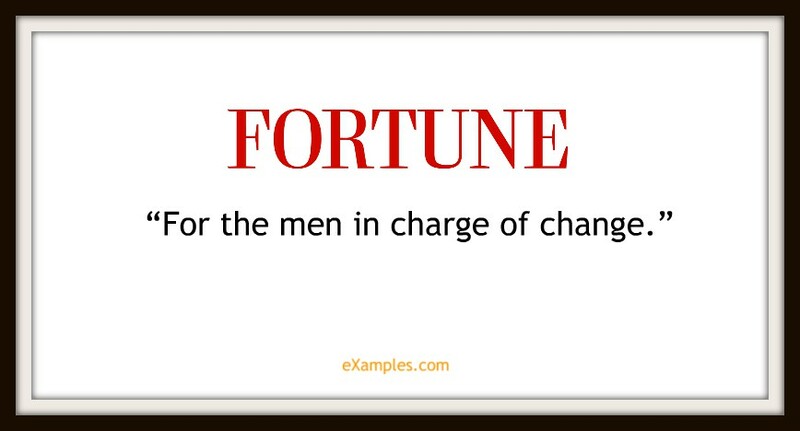 Tagline: This is a phrase about the founding idea or concept of business itself. 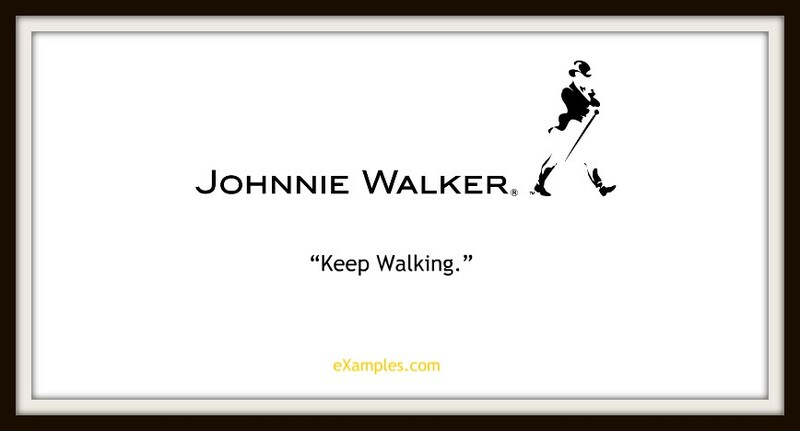 A good tagline should stand the test of time. 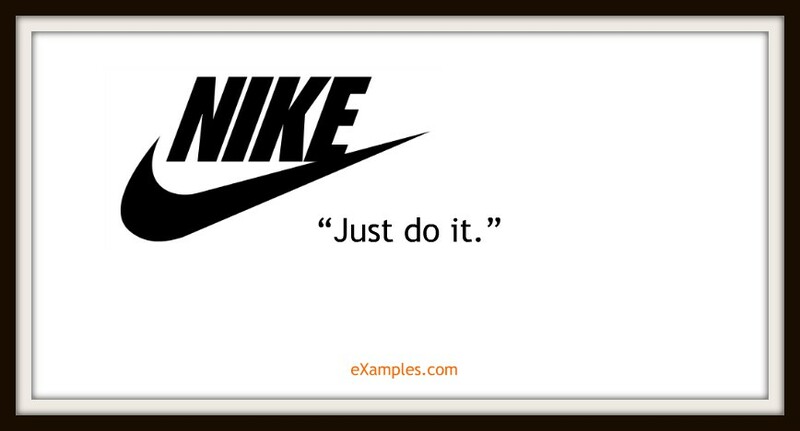 Example: Nike’s “Just Do It” is a tagline. 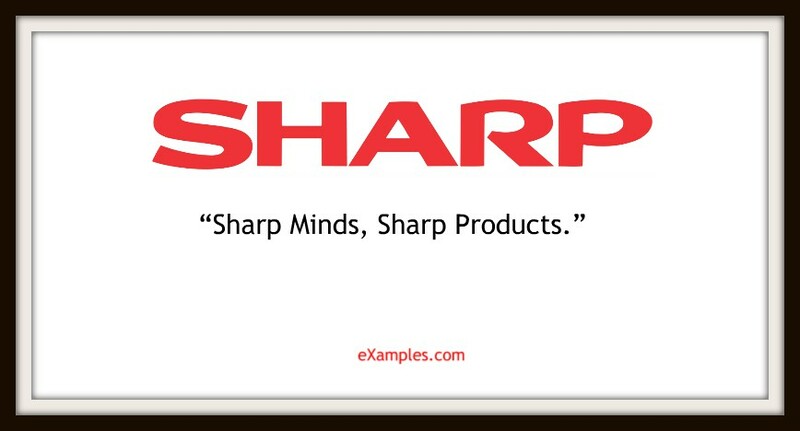 Slogan: This is a phrase that represents a company promise or brand product personality. It is a mini description. 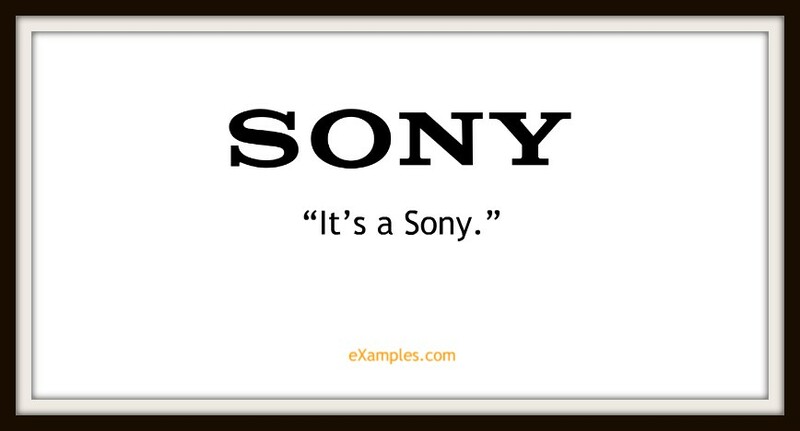 A large company will often have one tagline and several slogans for each flagship product. 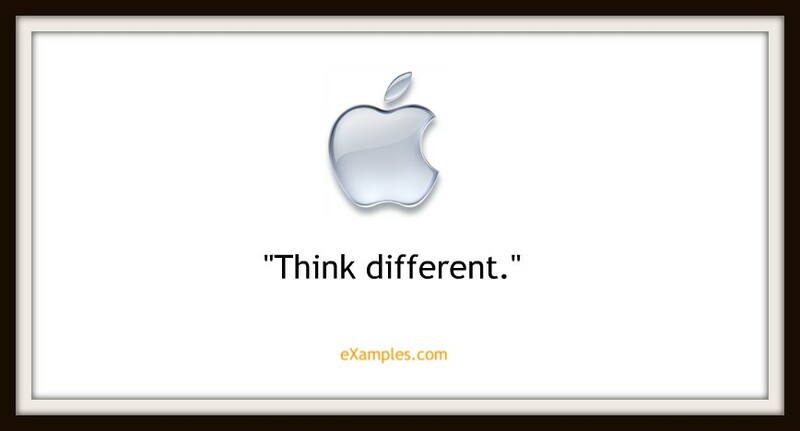 Example: Apple’s tagline is “Think Different” while the slogan for its iPhone SE is “A big step for small.” You may also check out types of marketing styles. 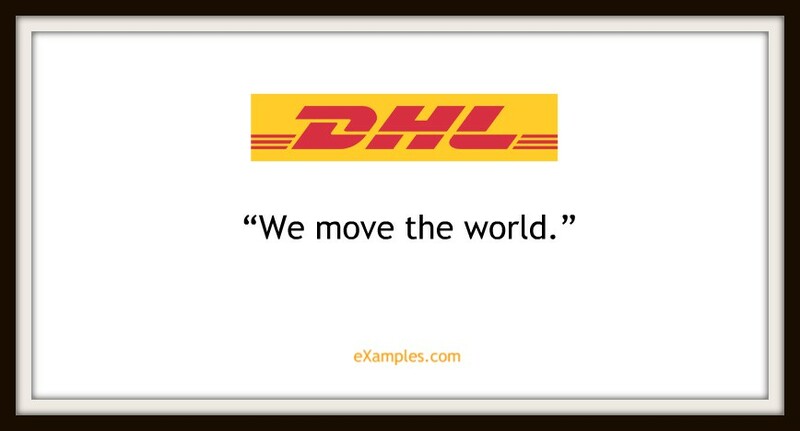 Motto: This is a phrase that focuses on the philosophy, beliefs, or intentions of the company. It is like a pledge and might be the closest connection to the company’s mission statement. 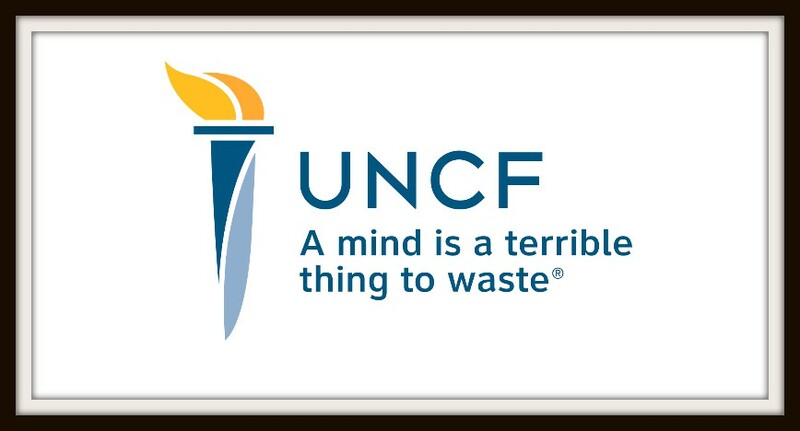 You can think of the motto as a condensed version of your mission statement, and you’ll do fine. 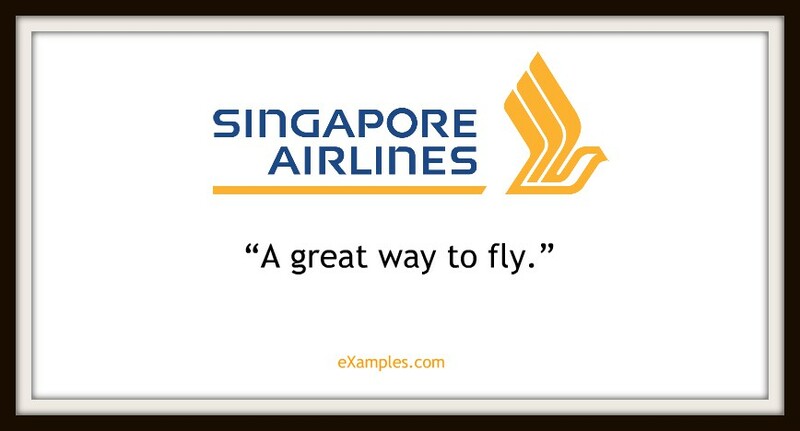 As for the tagline and slogan, you will need to think differently. 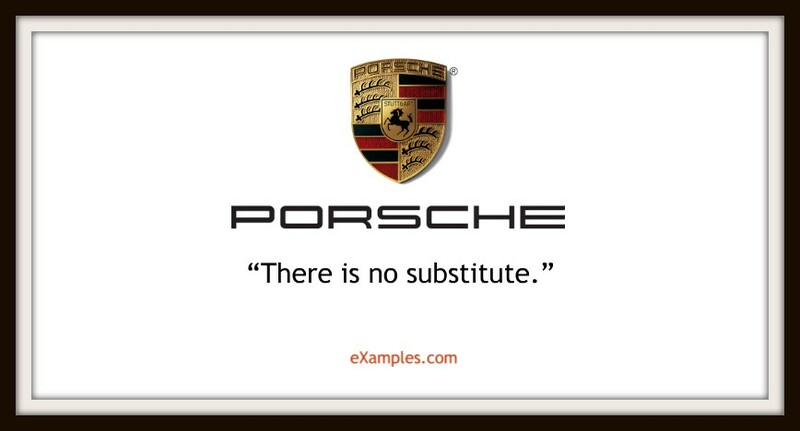 You might be interested in successful marketing campaign examples. And what housewife wouldn’t want such a hero to the rescue? A way to paint yourself out as something different. (What’s that in the sky? A bird? A plane?) You may also like examples of writing a brand awareness survey. Setting oneself and one’s product as essential to your lifestyle and security. One way to build customer loyalty from the get-go. And we wouldn’t expect anything less from this tech giant. From women, for women. Appeal to a sense of solidarity and belonging. It doesn’t get much better than “ultimate,” even though every car is basically a driving machine. 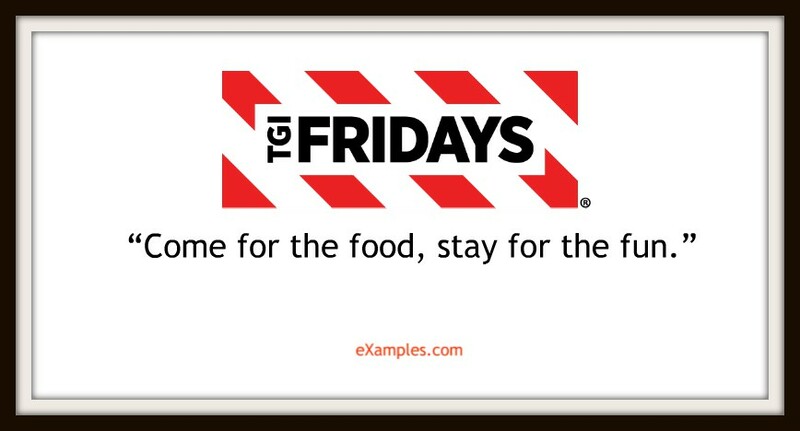 You may also check out digital billboard examples. It’s one thing to say you’re good, or even the best. It’s another spin on it to say it’s the king of its kind. Lindsay Kolowich, writing for Hubspot, says, “it’s especially difficult to express a complex emotional concept in just a couple of words—which is exactly what a slogan does.” And indeed your company’s story is a complex emotional concept. In a few words, often less than five, you should condense this whole journey and where you hope to go next. You may also see marketing strategy examples in doc. 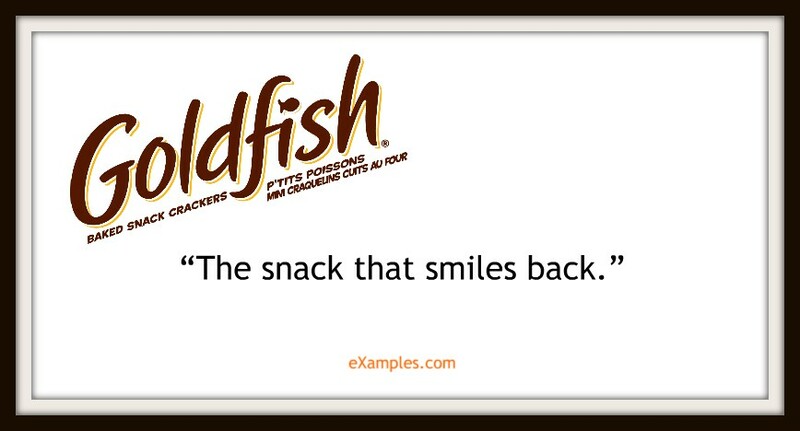 Think of your tagline as your hook. If people can relate to this phrase, if they feel like it speaks to them or resonates with a culture they identify with, then you are one step closer to winning someone over to your side. We’ll say it again: it is your rallying cry. And everyone knows that the way to convince someone to do business with you is to first get their attention. 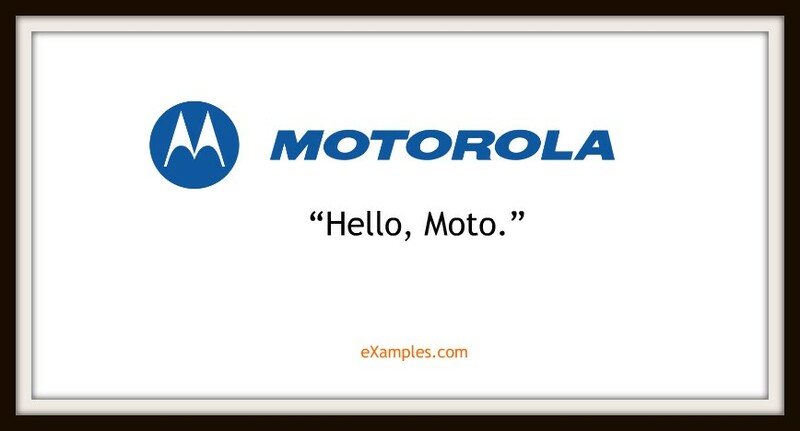 Just consider the following list of some famous company taglines (or slogans). Imagine if these phrases had never been invented: would they seem the same to you as you see them now? You may also check out marketing strategies for small businesses. 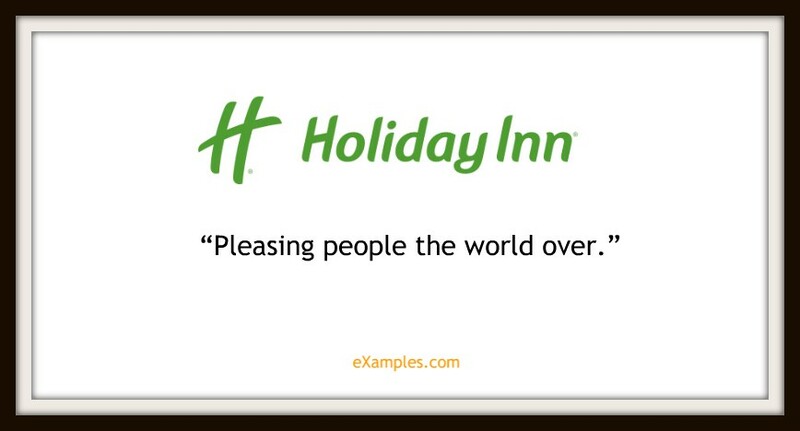 Now if there was ever a customer-empowering tagline out there, it’s this. 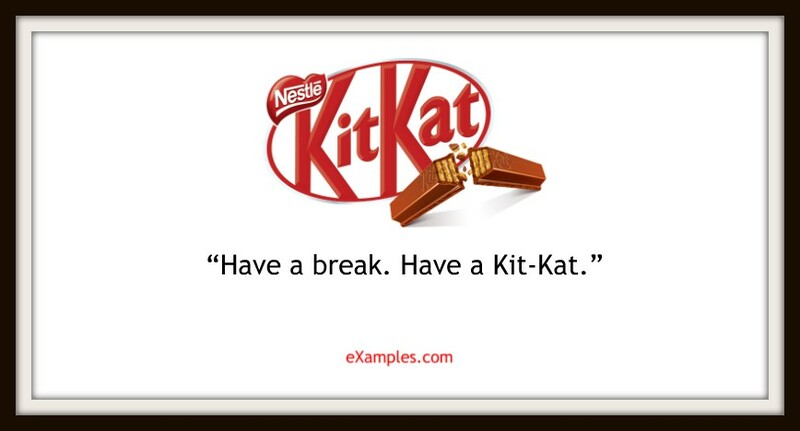 This is an example of a product-specific slogan and a company promise. 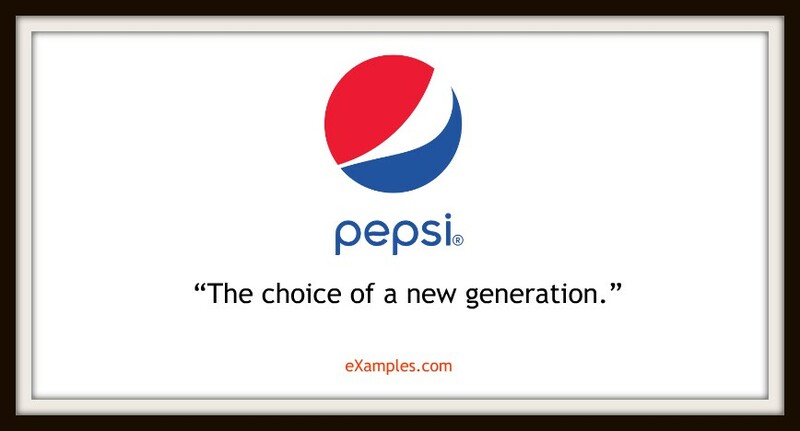 It contains the selling point of the product that should help people make the choice to buy. You might be interested in principles for creating a killer branding. Speaks to the company’s artistic values and the depth of its passion and commitment to the craft. Not only does it seek to define itself, but like-minded people will be more prone to doing business with them. 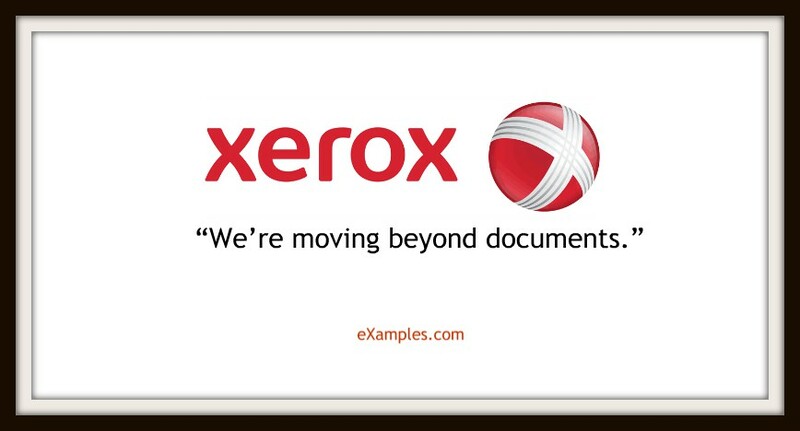 You may also see famous logo redesigns. 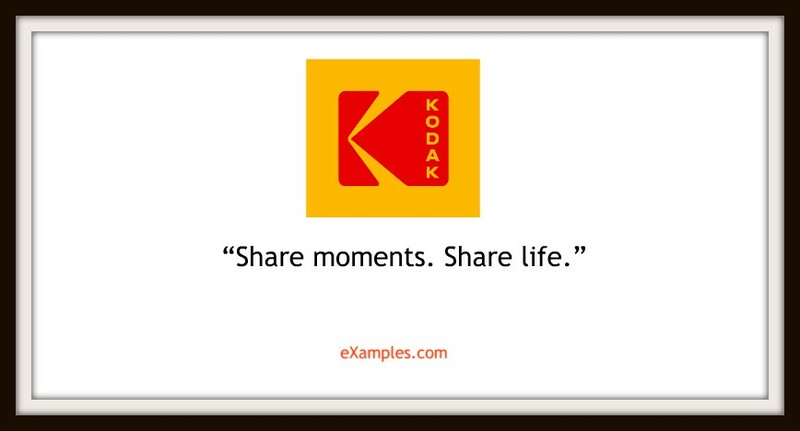 This camera company understands the importance of client-centric service and the joy in the art of video and photography. Highlighting the fun atmosphere instead of the food. This company knows where their strongest points are. 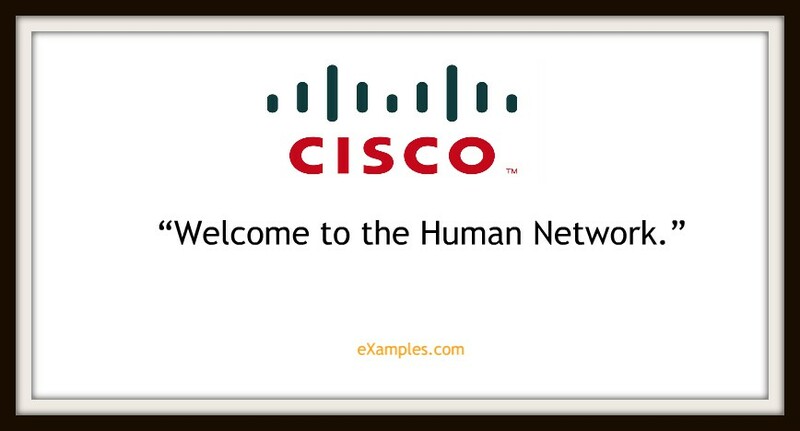 For a worldwide leader in IT and networking, Cisco is savvy enough to underscore the human element fueling all the tech that ultimately makes it worth it. An example of a company with its priorities in place. You may also like how to create your personal branding statement. 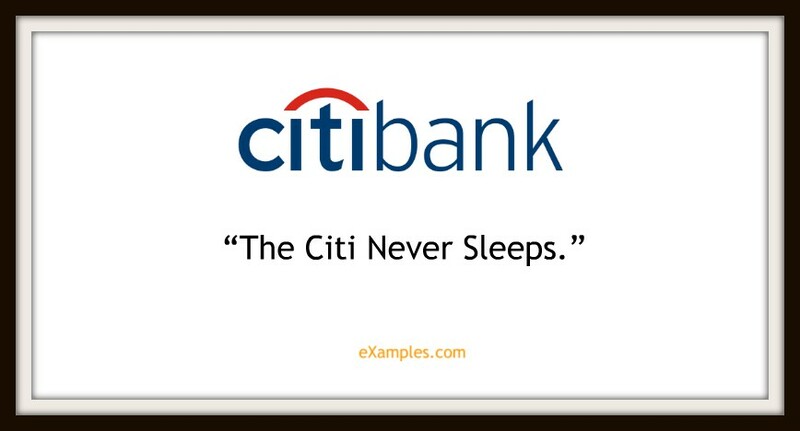 Doesn’t that sound like a reassuring promise of 24/7 banking services? 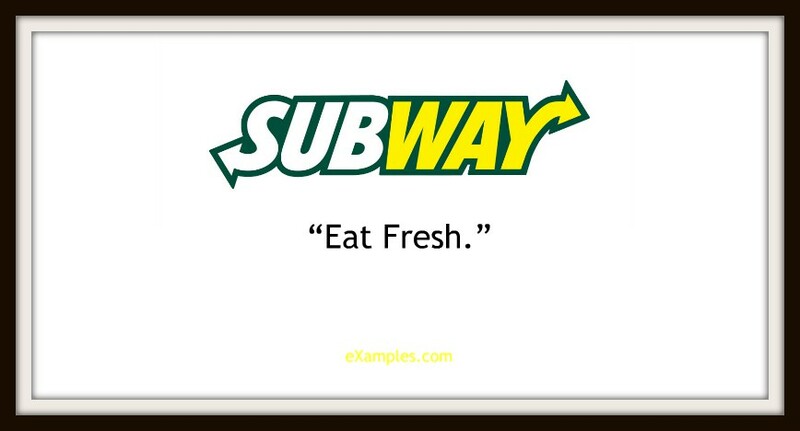 The first thing is to think of the tagline as a kind of trailer or teaser for your brand or product. In the space of a few seconds, the customer should be hooked as you draw attention to your most important aspects (your selling points). 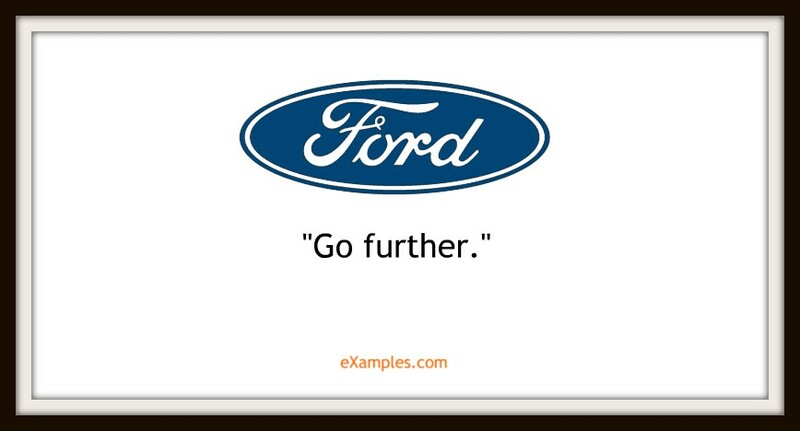 You may also see marketing goals examples. 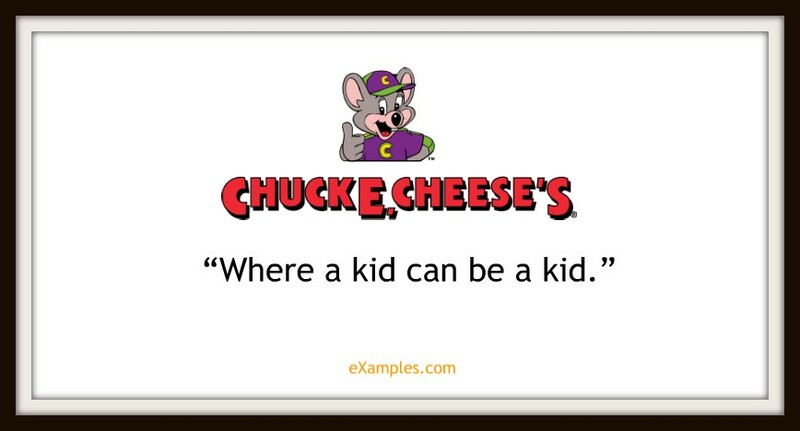 Your mission is to try and make this tagline sticky. When people hear it, it should stand strong and stick in their minds even before they understand what it means or before they ever realize the clever symbolism of it. You could even get away without the cleverness in depth, showing your cleverness in stickiness. 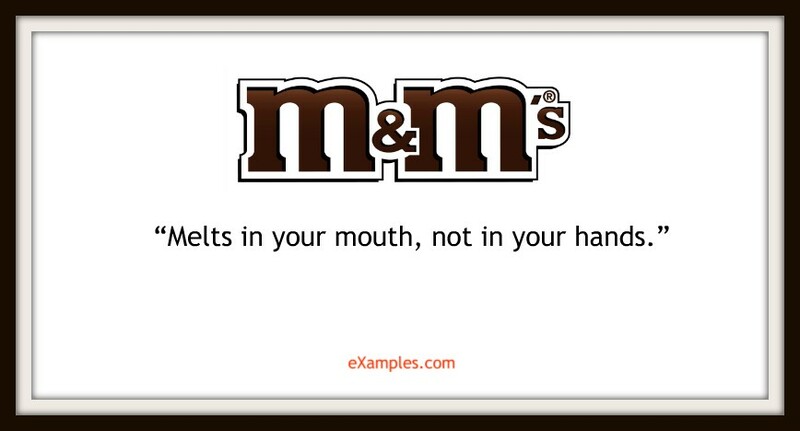 This is why some of the more famous taglines are not all that profound. It just has to be yours. You may also like what is internet marketing? 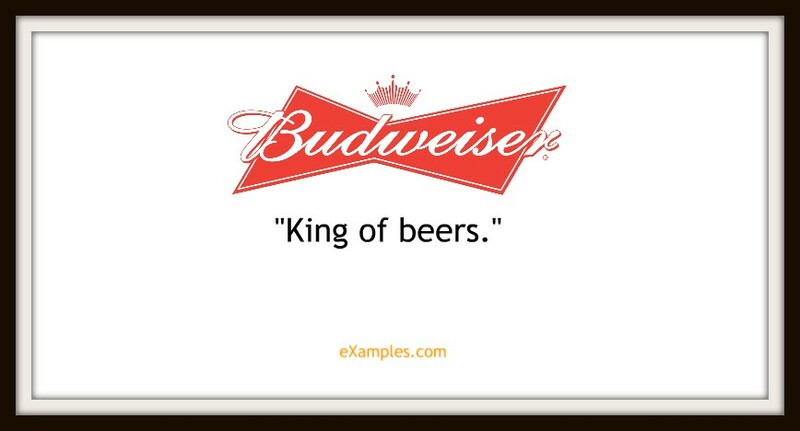 For product slogans, you might even write it into a jingle that becomes an ear worm for many. All attention is good attention in the world of marketing, after all. Don’t use words, terms, or concepts that most people will not understand without being an insider. If you want to reach out to a larger audience of potential customers, you have to meet them on their terms by using words they know. Ideally, the words you use should identify a key scenario, need, want, or problem and show how your company is the solution or an option for it. You may also check out benefits of marketing segmentation. 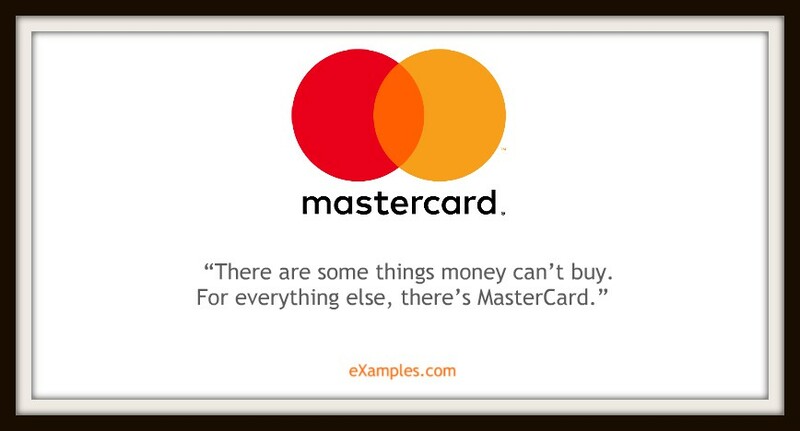 As with everything else in your branding campaign, simplicity is sophistication. Easy on the long words and anything too fancy. 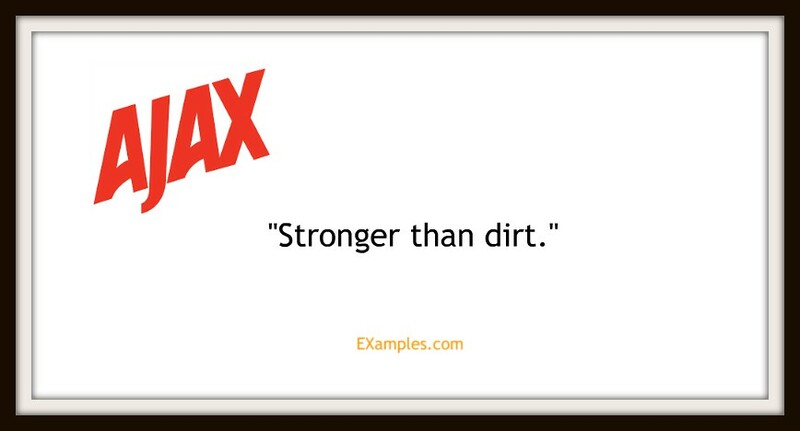 Use short, simple words that have the most impact in your industry. 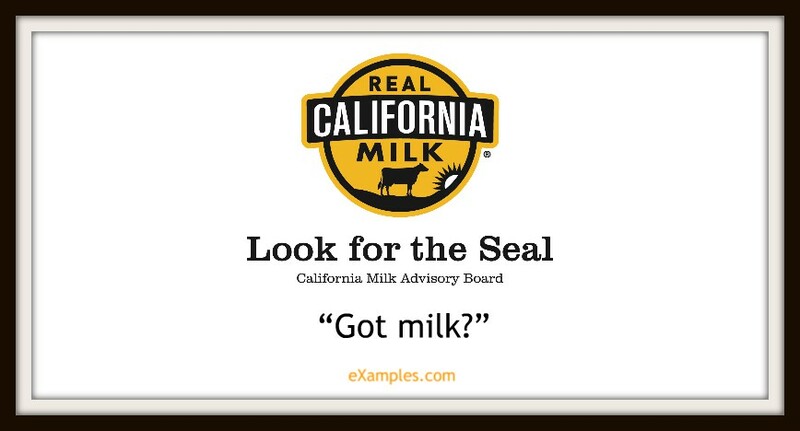 A simple question by the California Milk Processor Board. But it set off the longest-running ad campaign involving celebrities and milk mustaches that is now remembered by everyone. 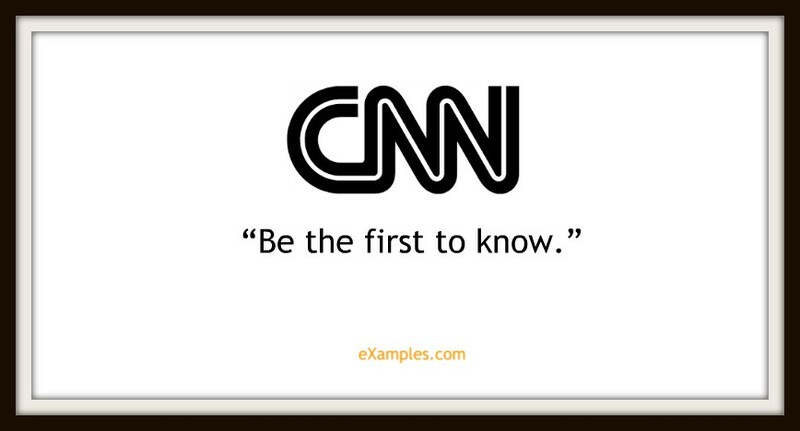 CNN turns the attention toward the viewers, highlighting the advantage they can get from tuning in. It would have been less effective if they’d made it about themselves instead (“We are the first to know”). You may also check out examples of branding and identity design. 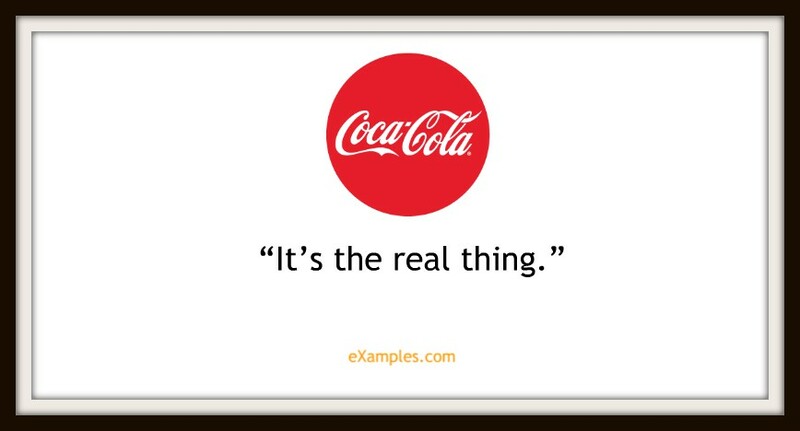 Coca-Cola is big enough to just tout its long-established authenticity and the iconic complexity of its flavor. Build on the confidence you’ve earned from your loyal customers to rope in even more. 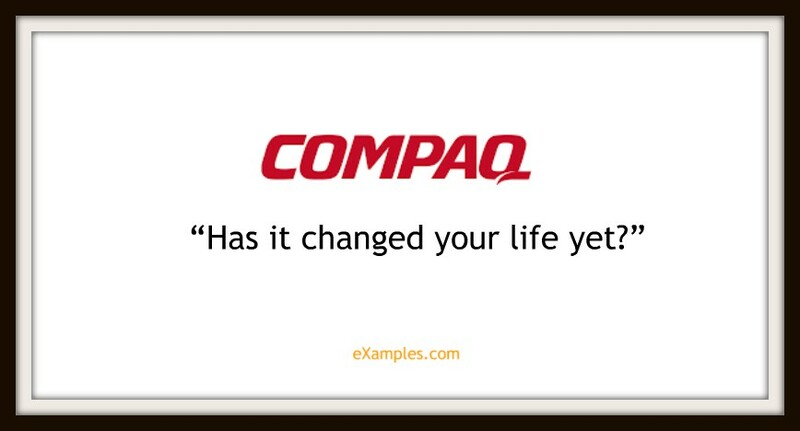 Seems so certain in the world-changing value it offers with its laptop PCs and notebooks — it prompts one to recognize Compaq’s value in their own lives. Note that such confident rhetorical questions might backfire if you don’t deliver on your promise. 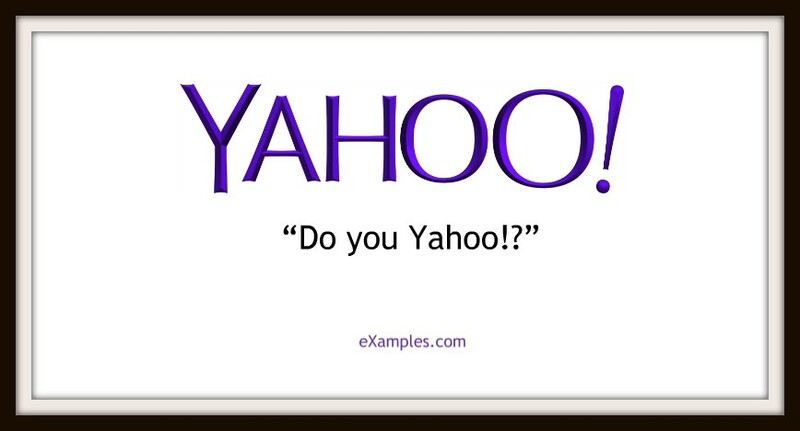 (“Has it changed your life yet?” “Um, no.”) You might be interested in email branding examples. Sounds…quick. And guaranteed. Who’s in? One word, two words, three words. One sentence of five-six words. How much can you compress your brand identity so that the few words that make it to the final stage are the ones that pack the most punch? You might be interested in relationship marketing examples that make an impact. 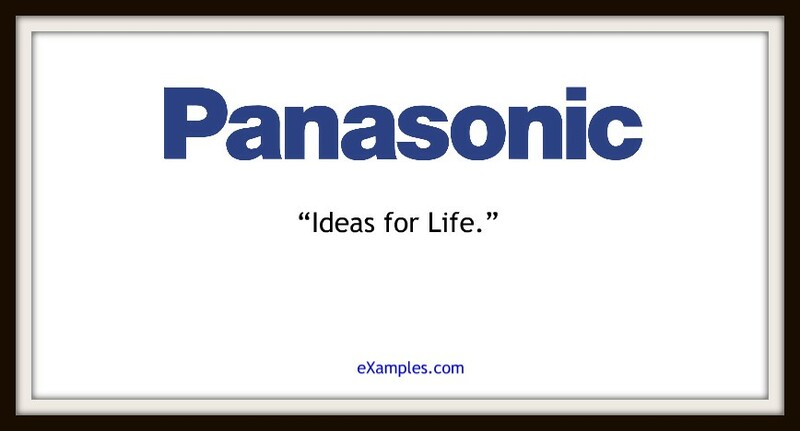 Creating a slogan is an art as much as anything. Make yours rhyme, or find a clever analogy, and listen to the rhythm when it’s spoken aloud. Can it be sung? 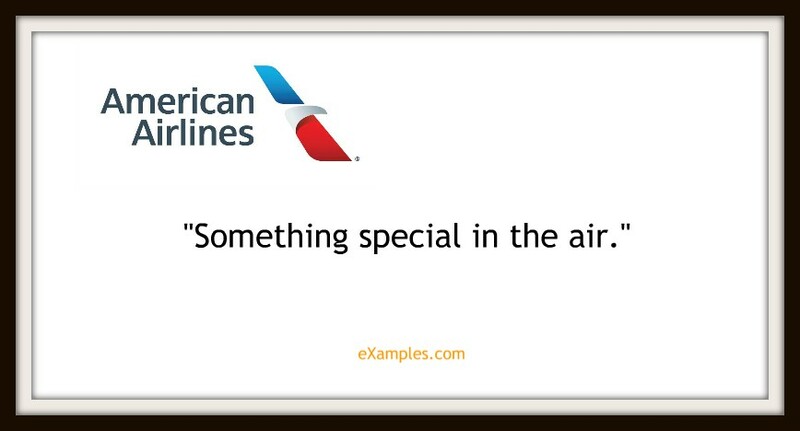 Can you write it into an ad jingle? Can it be rendered entirely in music notes? What’s the tone you want to set for it so that it’s said and recognized the same way no matter the narrator? 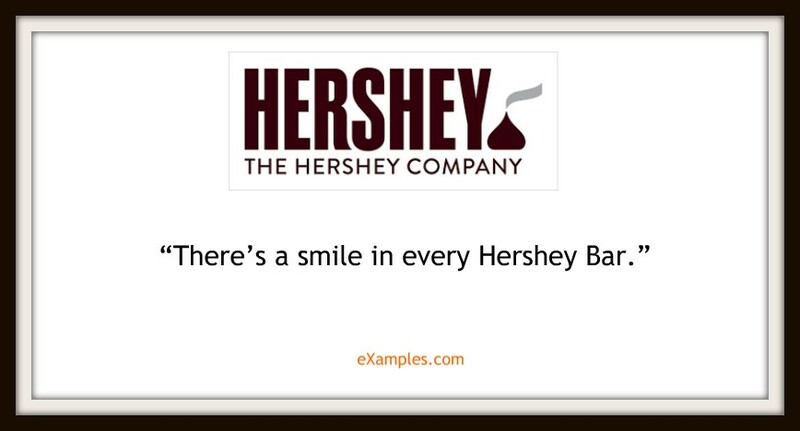 You may also check out marketing presentation examples. Understand your ideal customers well enough that you can appeal to their Belonging, Beliefs, and Behavior. 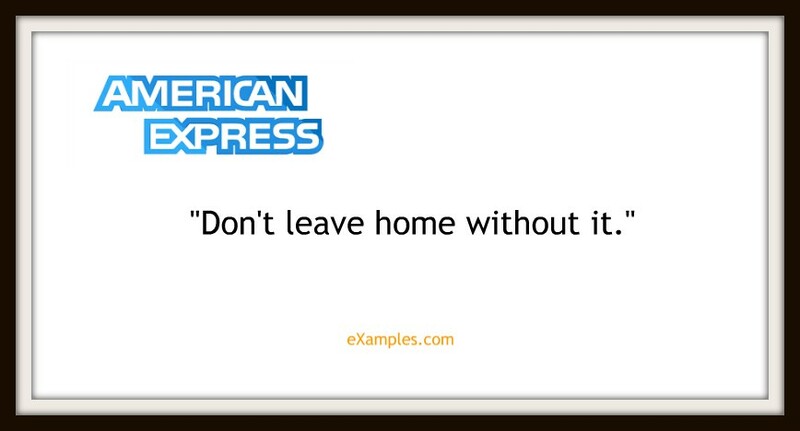 For one example, see FedEx’s slogan and the promise it makes to its customers. 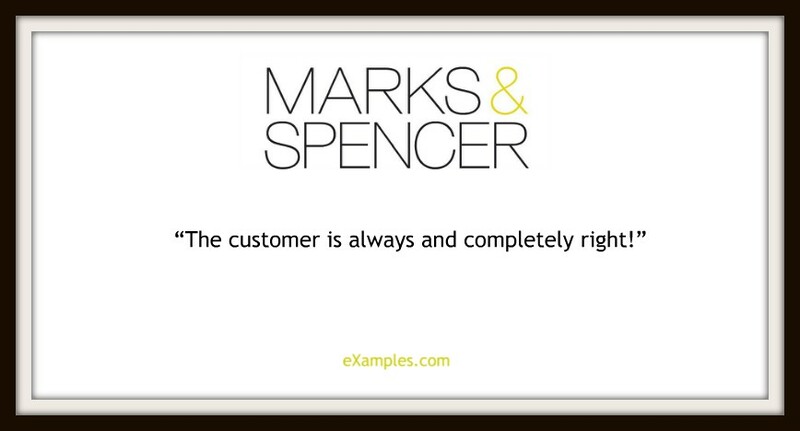 They can only do this by knowing what this customer needs and routinely does. 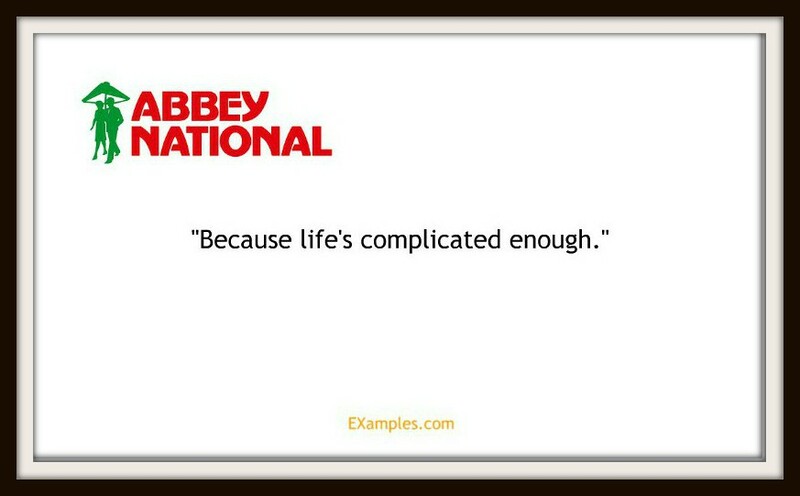 Also, see the implicit understanding of the human condition embodied in Abbey National’s tagline. You may also see need-to-know marketing tips for your home business. They show they sense exactly what you need and offer their service as the solution, tailor-fitted to your situation. This is related to the previous tip, but it’s worth expanding on—Grasp the customer’s psyche rather than just their circumstance. 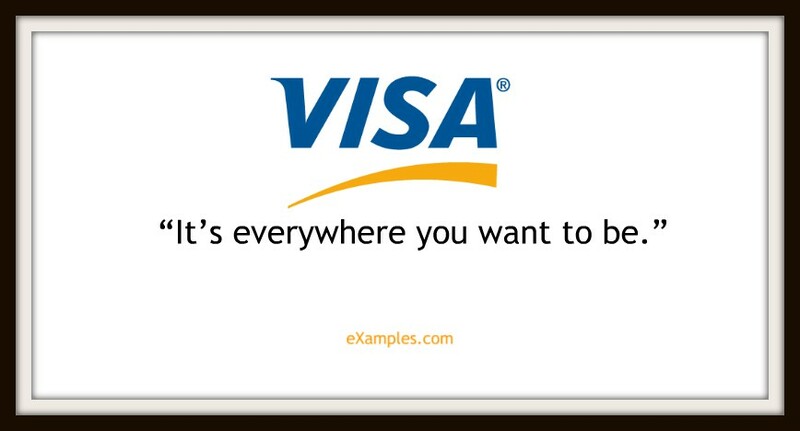 Appeal to some larger idea that’s valuable to the customer. 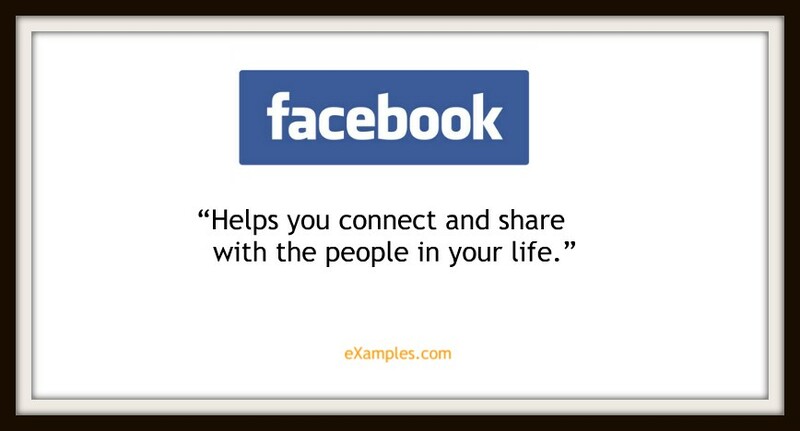 You may also like social media marketing examples. 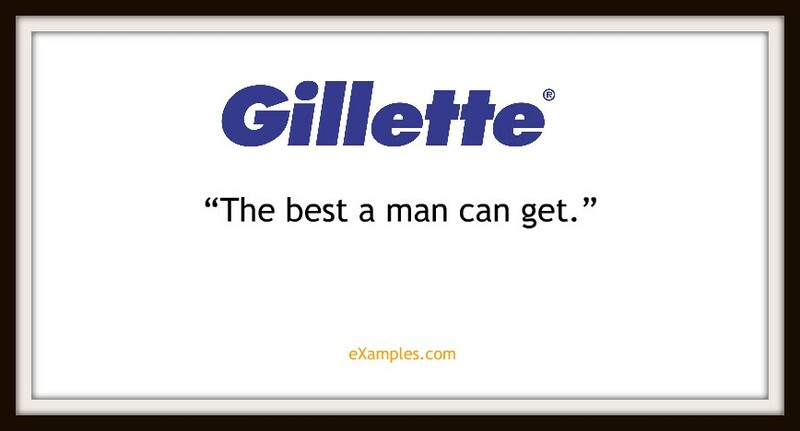 Case in point: Gillette doesn’t just sell razors; it sells manliness. 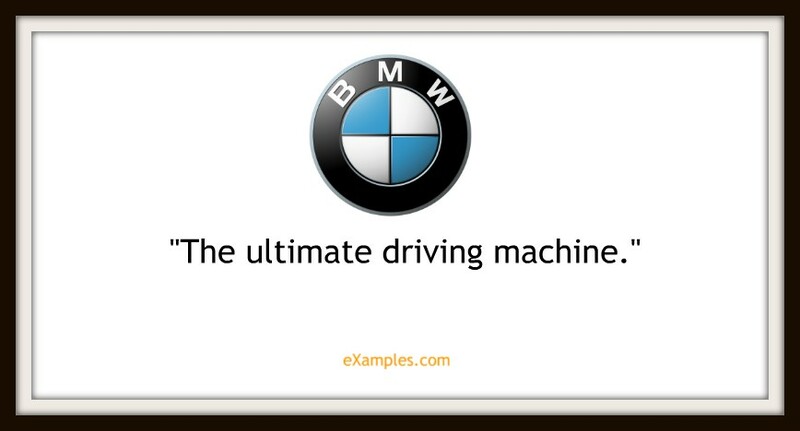 BMW doesn’t sell cars; it sells the sense of luxury and well-being. 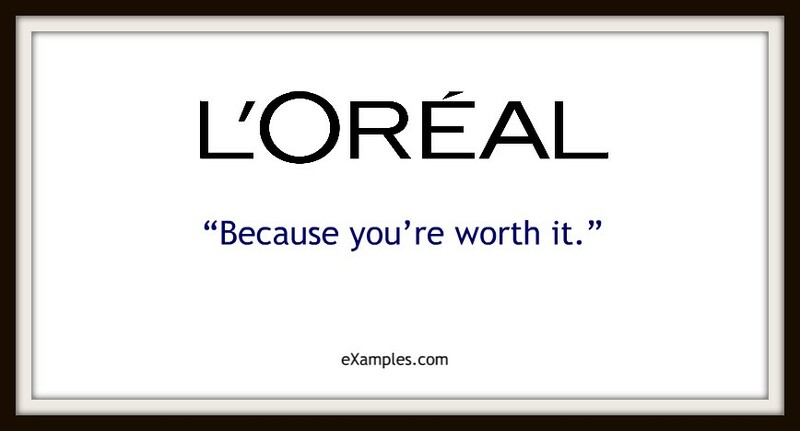 Entice the customers with this value so they can identify and voluntarily become walking advertisements of your brand. Give them a reason to want to add your brand to their identity, and they will grow the audience for you. You hook them in first by the slogan the first time they hear of you. Don’t waste the opportunity. You may also check out what is mass marketing? 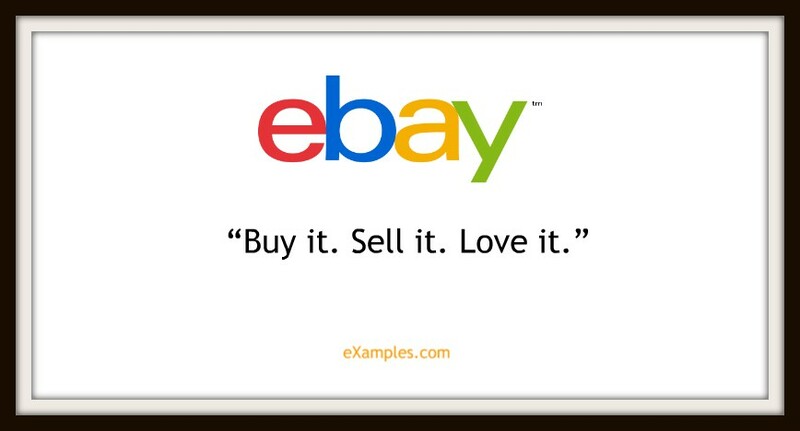 Perhaps it isn’t, but this slogan is a clear nod toward lasting value. At these prices, longevity is what a customer is looking for. A spin on “easy as hell,” perhaps? 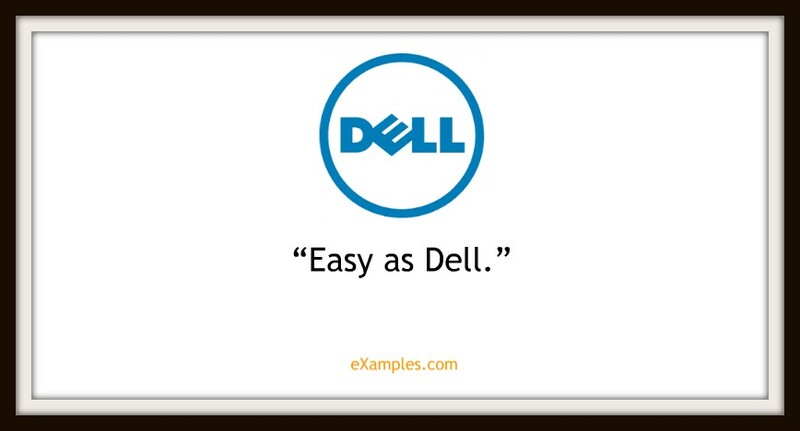 A memorable promise of a fun and convenient user experience on Dell computers. That’s what we call establishing yourself as indispensable in the larger picture of things. Again, be careful not to be too grandiose and make sure you deliver on your promise. You may also see examples of vehicle branding. The whole viral marketing shtick is not going to work its magic unless you show the customer that what’s in it for them is also what’s in it for you. Show them how it’s in your best interest that their best interests are met. 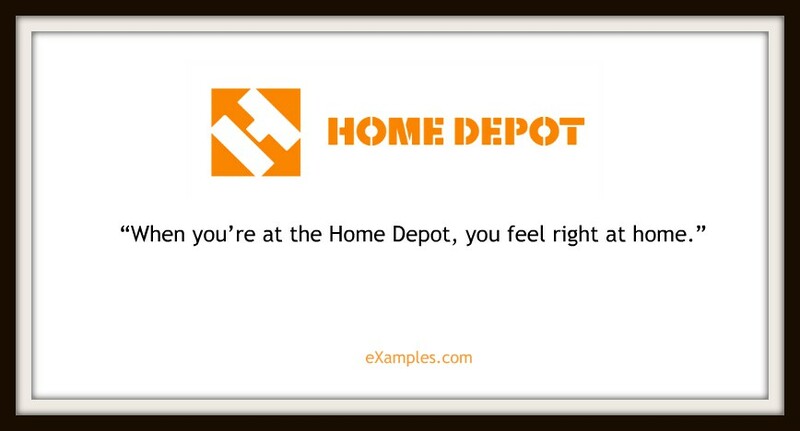 Use the slogan to showcase your empathy for the customer. You might be interested in examples of marketing strategies. Remember that the slogan is a promise that will ring in people’s minds before they’re ever convinced to do business with you. 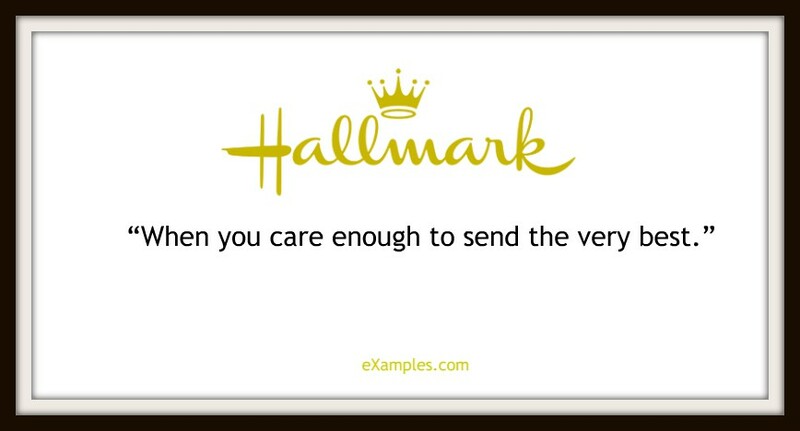 So if you’re selling point is how much you care, the slogan is where you should broadcast that message. This might not work for everyone, but when you can, use it. And when you do use it, get as much varied feedback as you can to make sure it doesn’t backfire. You may also see marketing and sales – a comparison. Understandably, you won’t be able to create a good tagline without properly understanding your brand and your customers. 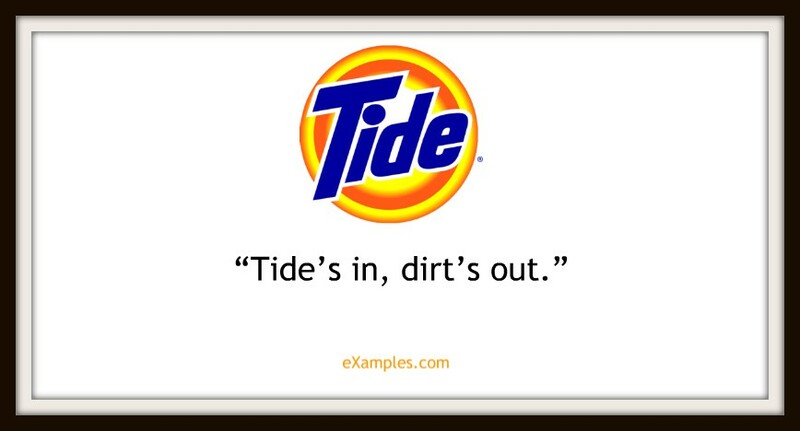 Even then, note how many companies routinely switch their slogans around for a new ad campaign while retaining the integrity of their tagline. Not only should it guide customers to your door, but it should guide your campaigns as well. 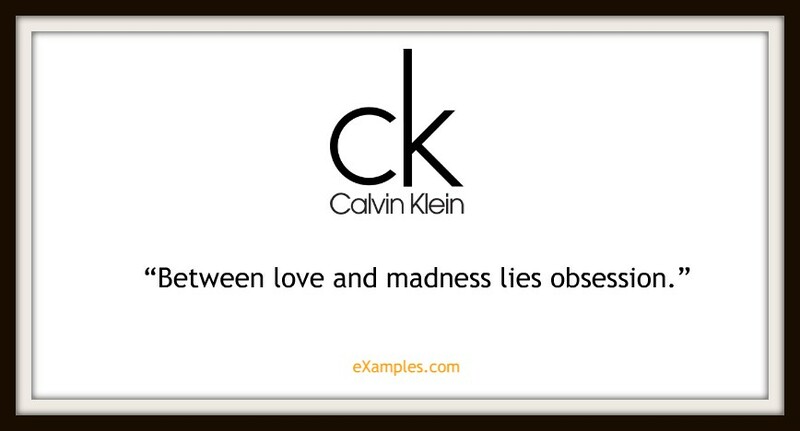 You may also like examples of marketing objectives. 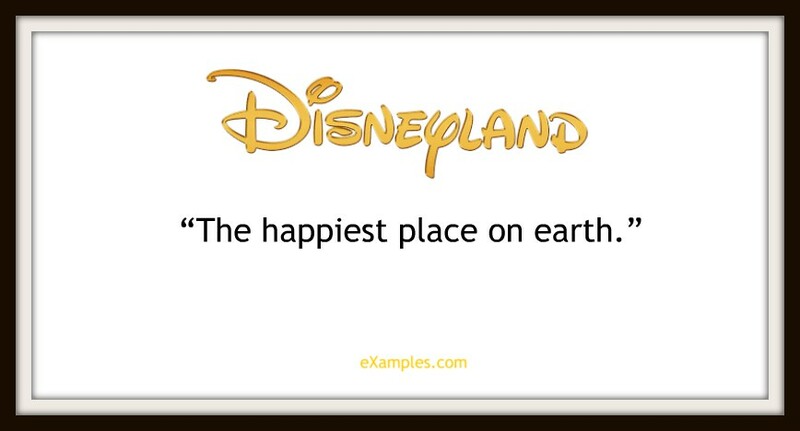 A grand promise that explains the millions of visitors flocking to this magical place every year. 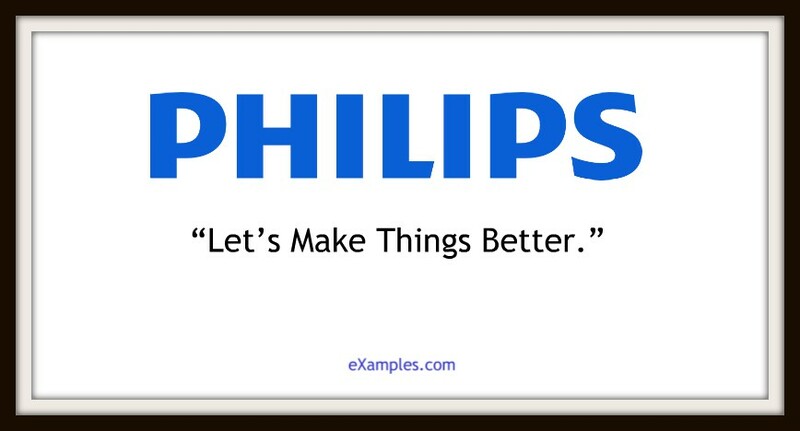 A classic three-part slogan spelling out the scope of the service and the value it adds to one’s life. Perhaps the blandest promise, but all right, thank you. Are you sure you didn’t also promise to be addicting? 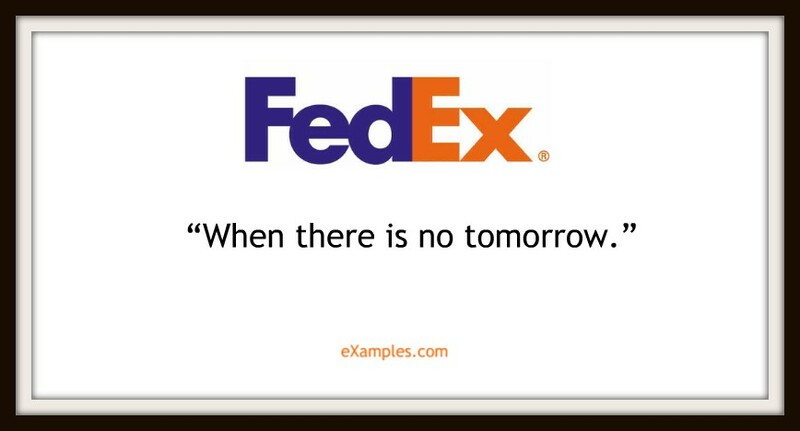 FedEx switched to this more powerful rewording from its previous slogan: “When it absolutely, positively has to be there overnight.” And we’ve all been there at some point. 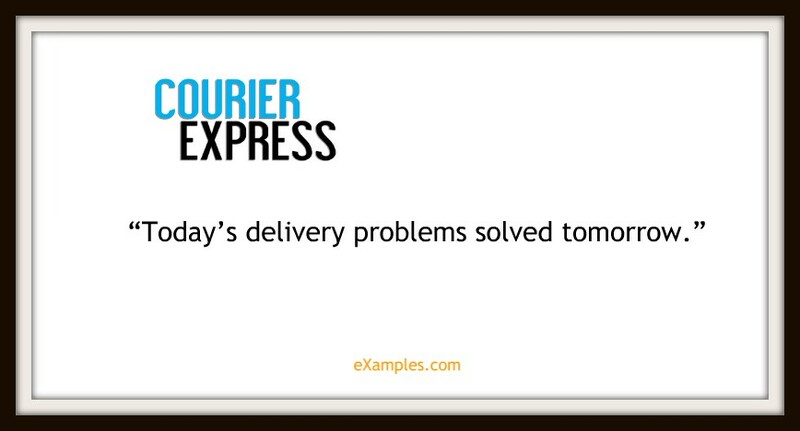 Definitely sets itself up as the trustworthy go-to service for time-sensitive deliveries. You may also like why strong branding is more important than ever for your small business. Double-entendres are always welcomed. 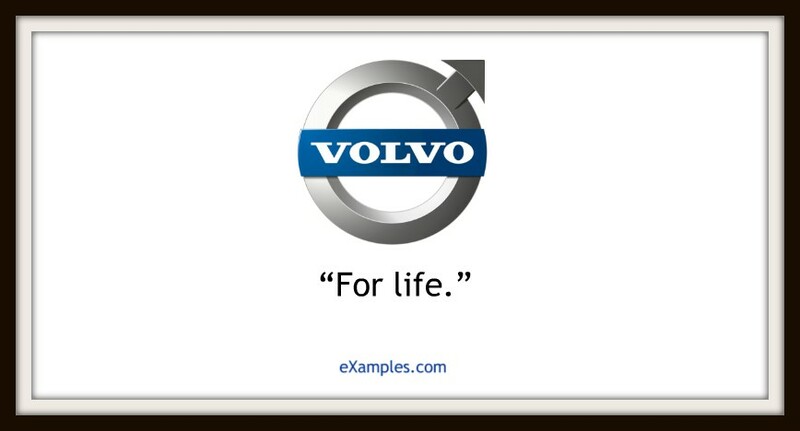 This automobile giant has had a succession of slogans over the years, including the clever customer-centric line “Everything we do is driven by you” (who’s blushing?). And who wouldn’t want to identify themselves as a thought leader and world-changing entrepreneur? Another “join the club” call to action. (Note the unusually sexist wording. Rating 5/10.) You may also check out what is brand marketing? Speaks volumes in terms of quality innovation. 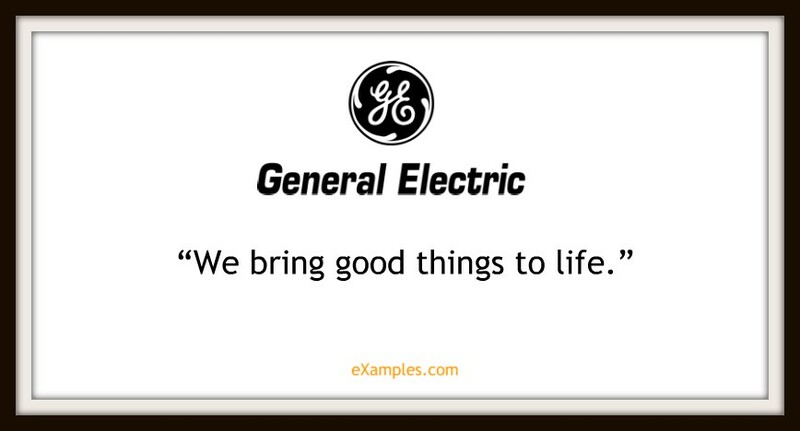 With its rebranding, GE switched their focus to “Imagination at Work,” which carries the same theme. And the man wants it. Who wouldn’t? 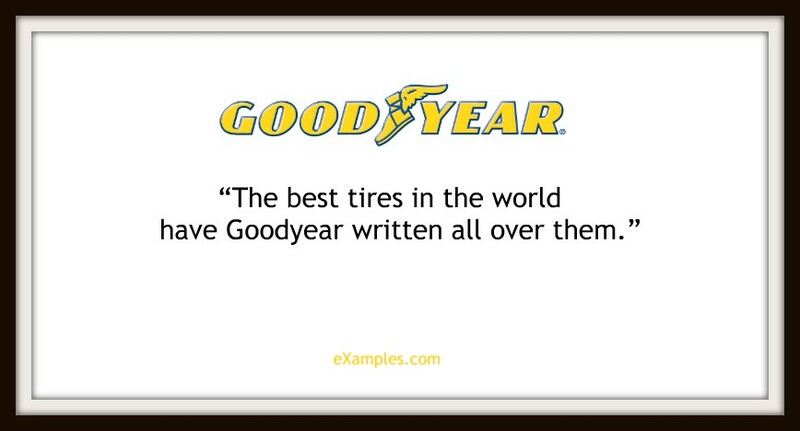 A bit grandiose there for this tire and rubber company, but hey, as long as they deliver, many people will take their word for it. 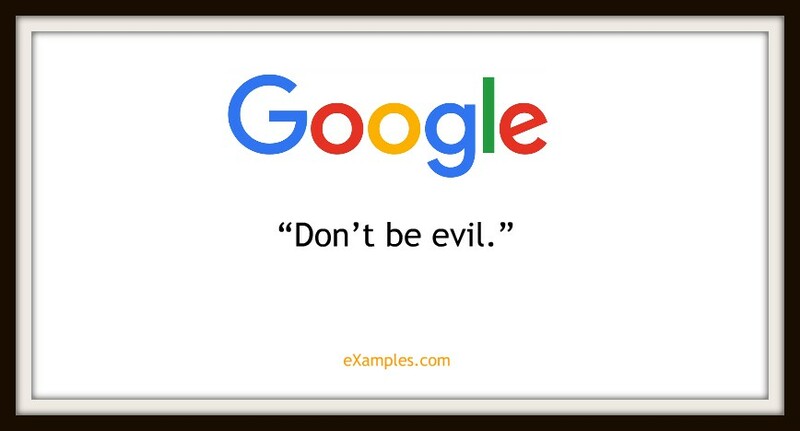 This is actually Google’s corporate code of conduct. Aren’t you glad the world’s largest search engine isn’t maliciously plotting to sell your data behind your back? (Hmm.) 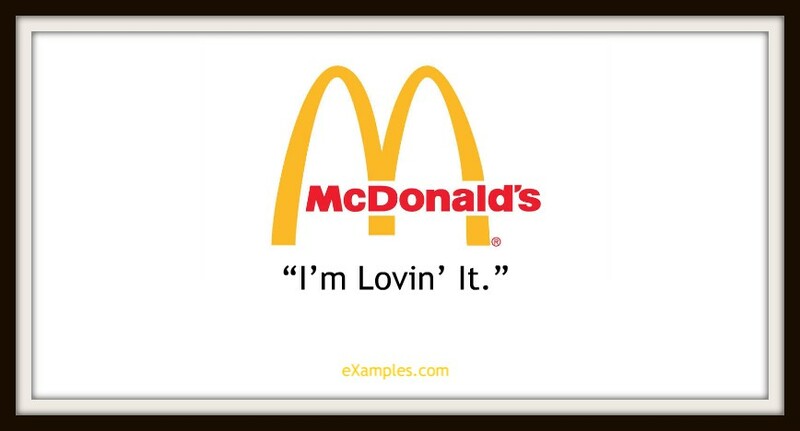 You might be interested in examples of fast food branding. Highlights a cheerful aspect of the product’s unique design that everyone will be looking out for and identify with the brand. 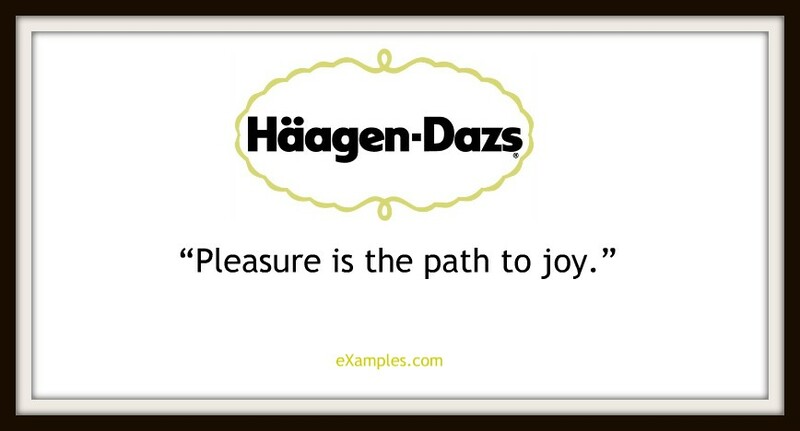 Speaks to the company’s focus on bringing that joy. Note how it doesn’t mention ice cream, which they’ve now imbued with this larger purpose. 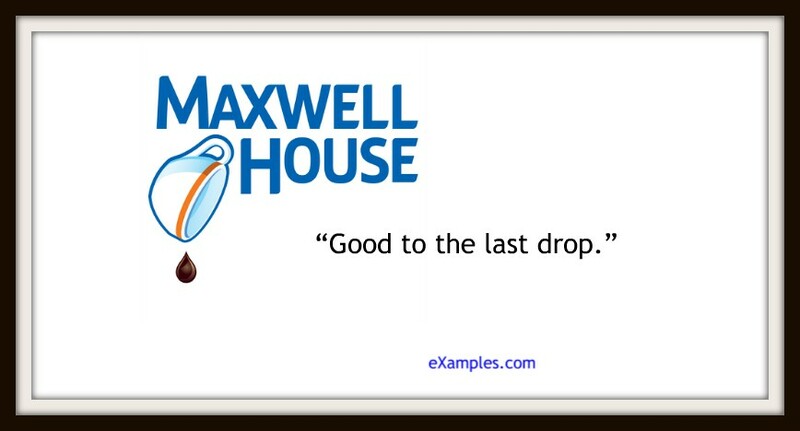 A spin on sending people your best, rewritten by this memento and greeting card magnate. 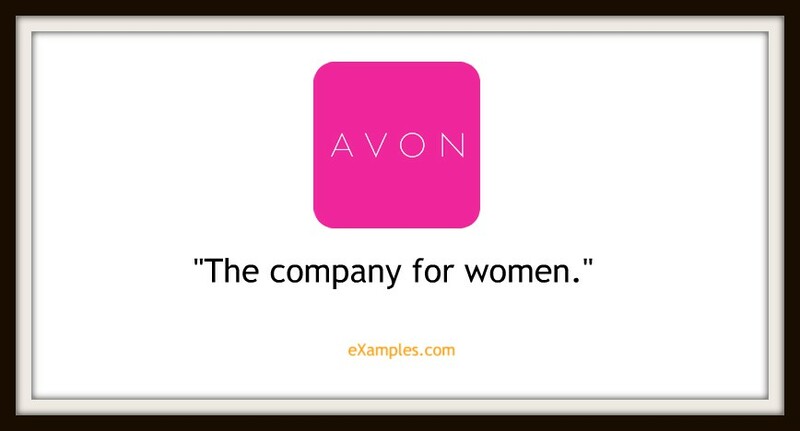 Speaks to the company’s origins as well as with the person it serves. A shared heritage, and a life-changing decision. 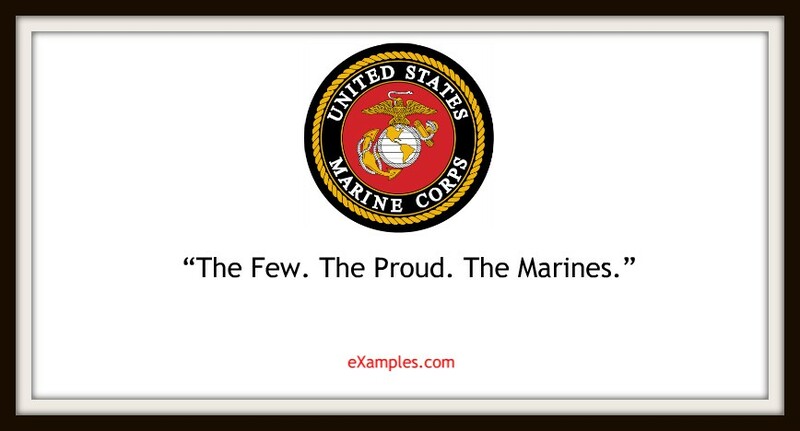 Sets the identity and culture: For the brave. 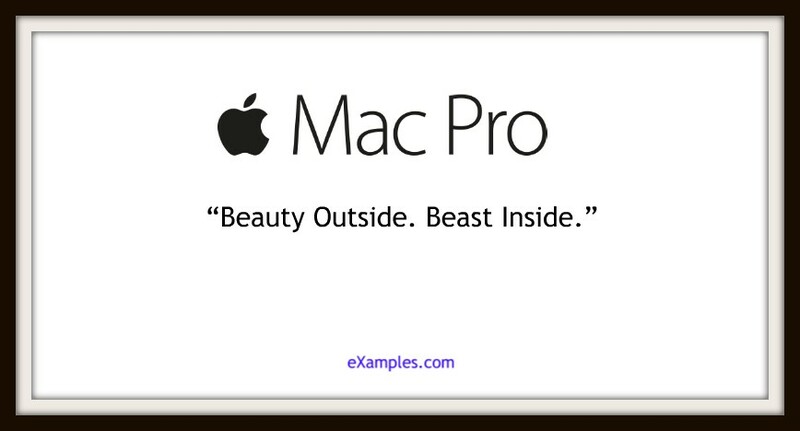 You may also see business branding examples. We’ll take that over a golden ticket to the Chocolate Factory. 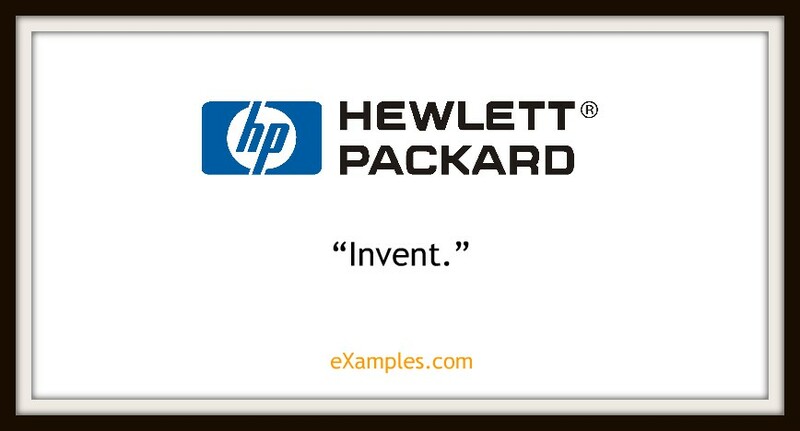 A one-word dedication to HP’s most valued action. Drawing attention to the actual customer experience in the store, and by extension what value they can get from the merchandise. Contrast with its later “You can do it. We can help,” which again puts the power of choice back in the customer’s hands. You may also like best clothing branding design tips you need to know. A bit woo-woo, but will definitely resonate with every entrepreneur out there. 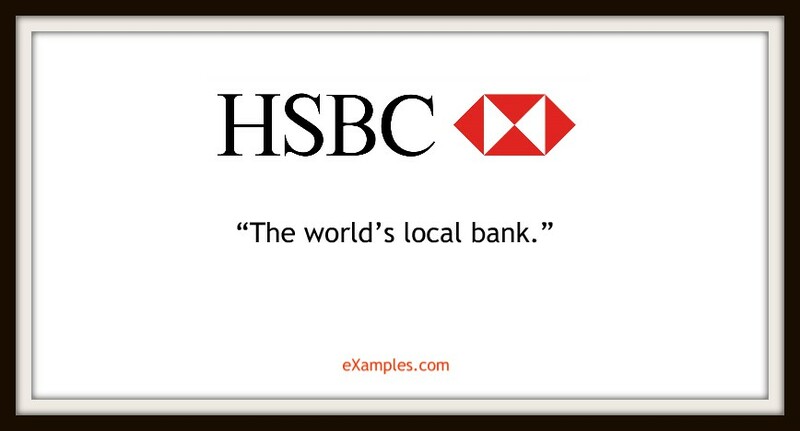 Reads like a wink, reminding us that the world has shrunk, and HSBC will be there at our service wherever we go. 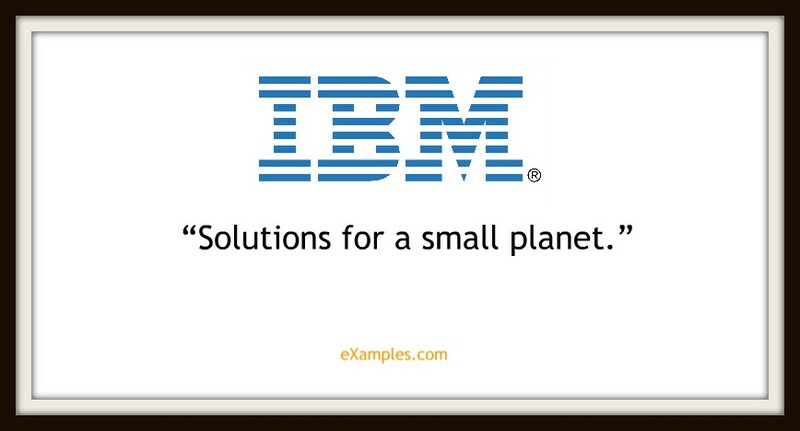 Speaking of shrinking worlds…Tech companies like IBM have had a hand in that. 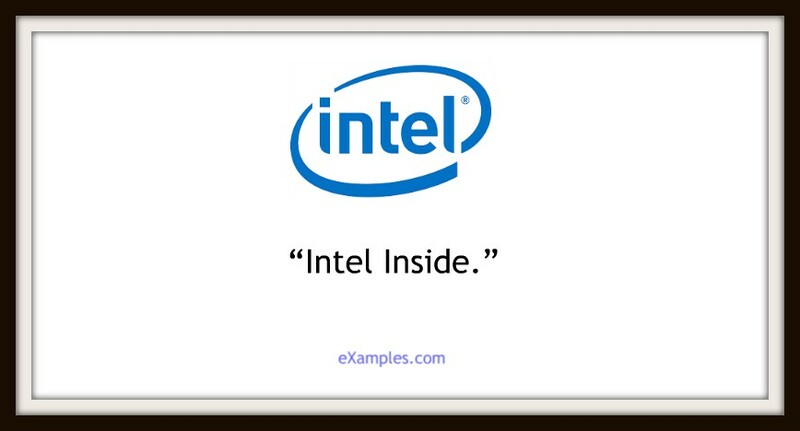 This is the slogan for one of Intel’s comeback campaigns after a bug scare went to press. 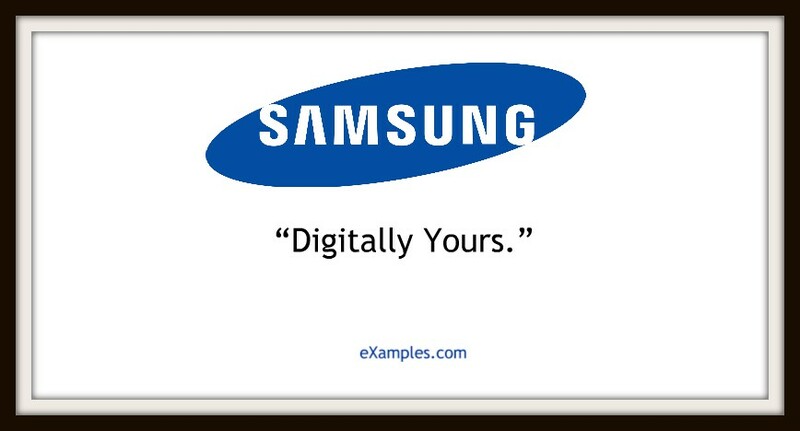 It is now the slogan declaring their security and trustworthiness. You may also check out examples of restaurant branding. The promise of quality and craftsmanship in every vehicle. The tagline for a global campaign with a simple but profound message: work hard and persevere; joy is the key for making progress. And isn’t that a promise they’ve kept for decades? They show how they fit so seamlessly into your life, every day and every break time. 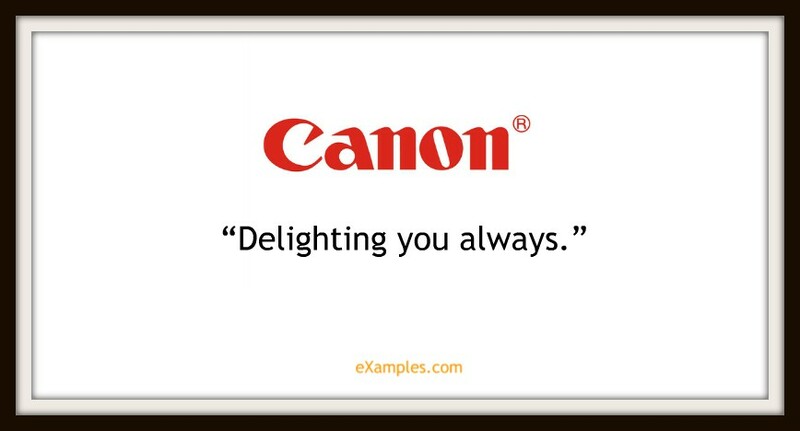 Let’s be honest: This camera company’s got Facebook’s slogan beat. 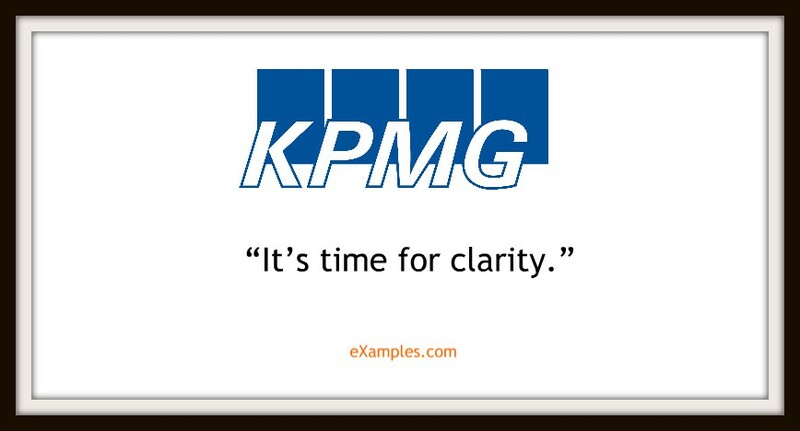 For an advisory firm offering audit and tax services, clarity is definitely what we need. They win that bet. 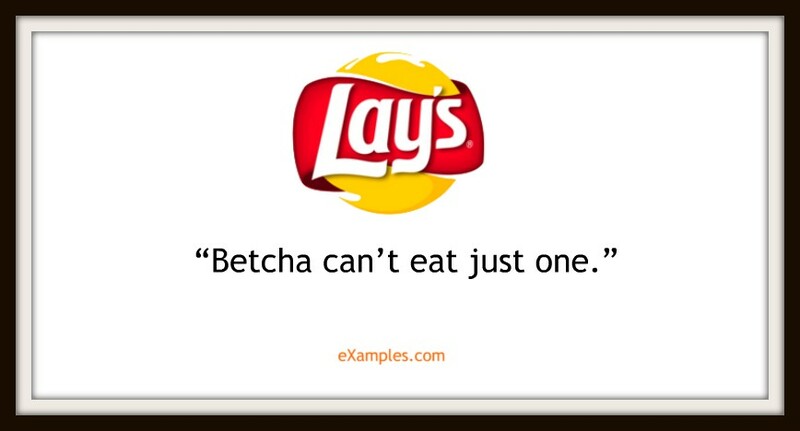 And if you’ve never tried Lay’s, it’s a dare to try. That’s called marketing of earned reputation built into the product. When you’re in the business of providing evergreen fashion for the middle class, there is no better assurance of both quality and looking good. You might be interested in wine branding examples. 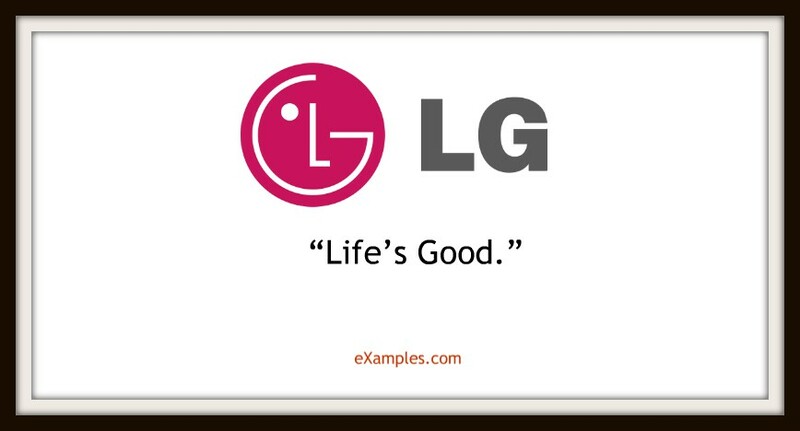 Their slogan is just “LG” spelled out. Sounds cheery and optimistic, a value they try to imbue their household appliances with. 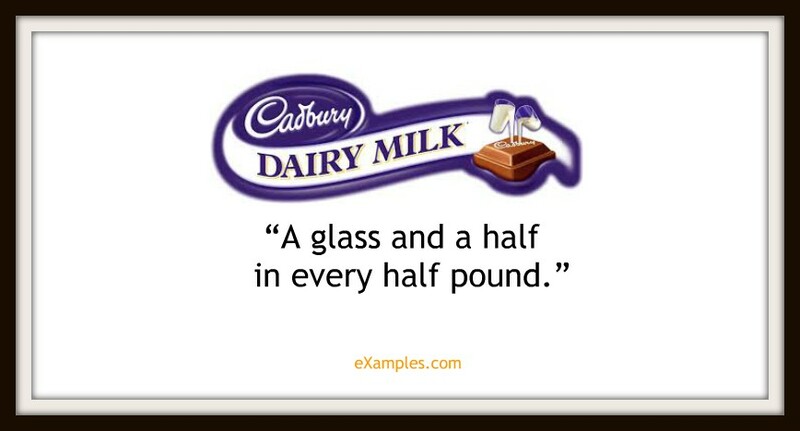 This was an ingenious value proposition, convincing millions of ladies. 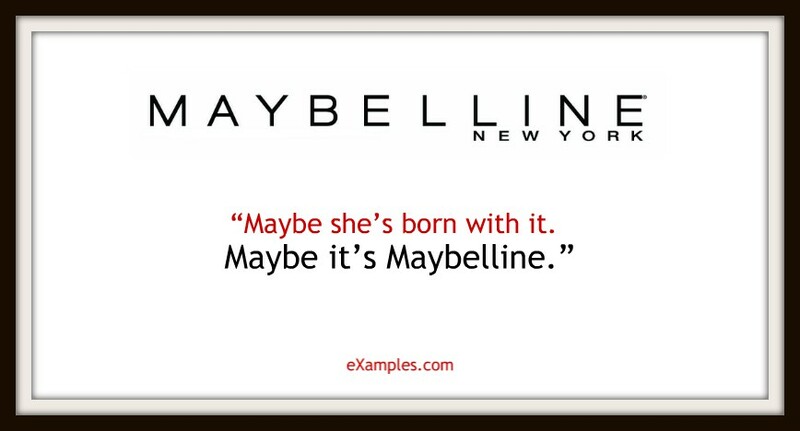 This slogan sells the seductive hope that Maybelline’s products can give you the same kind of natural beauty you had always thought was a matter of good genetics. Doing away with a common problem while offering a tempting promise. And who wouldn’t be tempted to try? And everyone wants a powerful computer that also looks oh-so-fine. That’s taking customer service to the proud extreme. What an all-encompassing way to sell the service. Drawing attention to your unique quality is the way to go when you’re in the industry of a product as commonplace as coffee. What they’ve aimed to put in the mouths of every customer since opening day. Safe to say they succeeded. 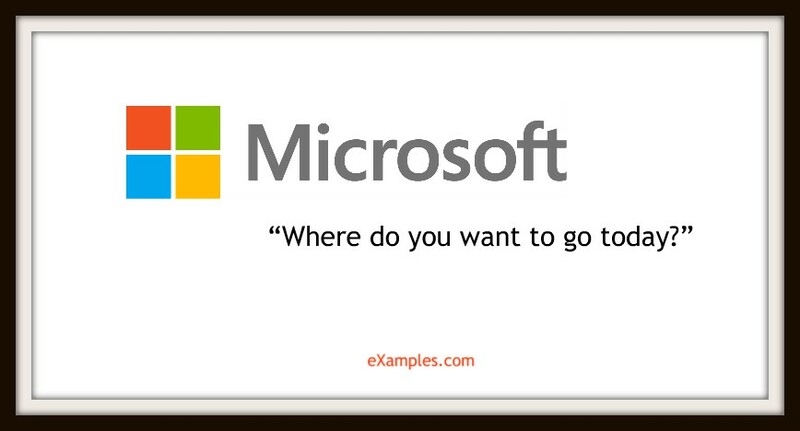 This is the title of Microsoft’s second global campaign to advertise its brand image, offering itself as a window to the world. 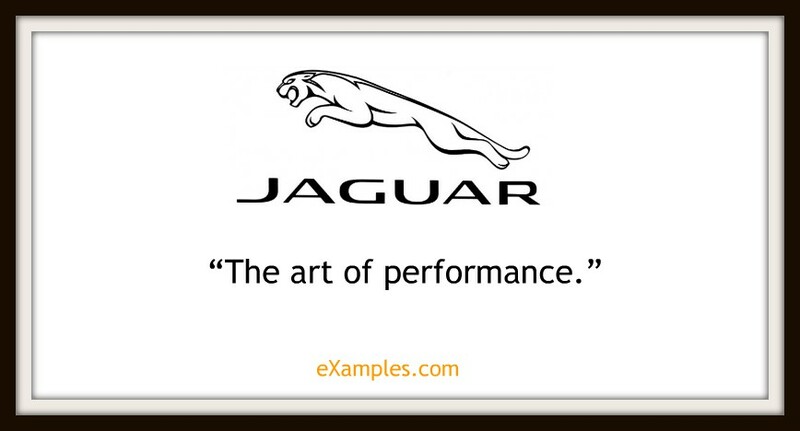 You may also see examples of marketing strategies. Maybe they’re talking to themselves…More likely, they’re showing how easy they make it to communicate. 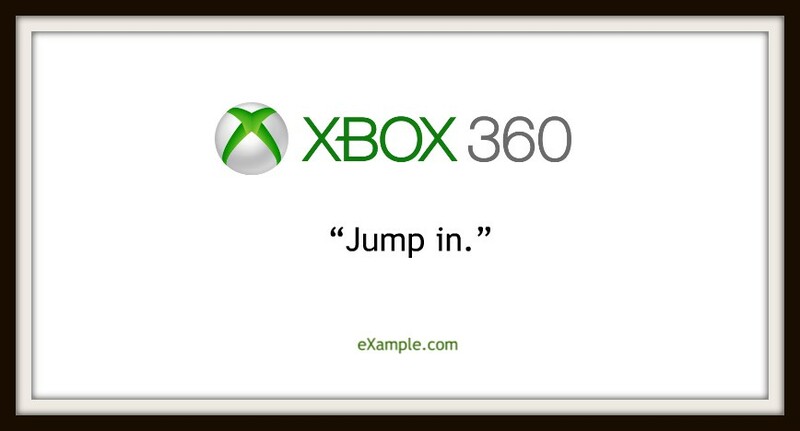 Take the leap of courage. Just buy the shoes. 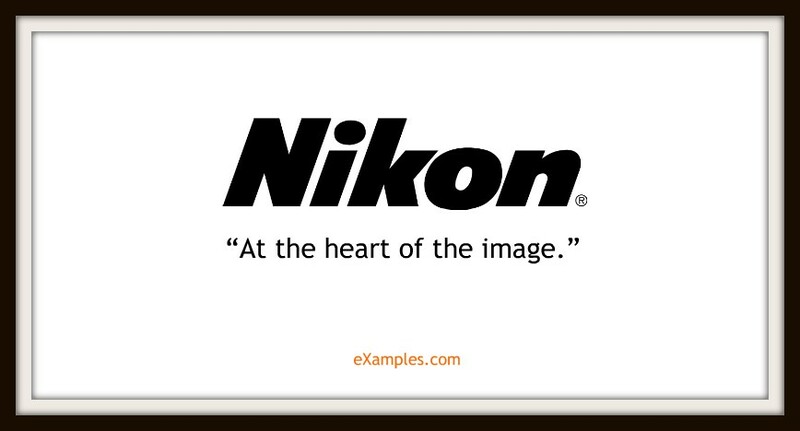 What photographer wouldn’t want to do business with a company that understands the core of their craft? 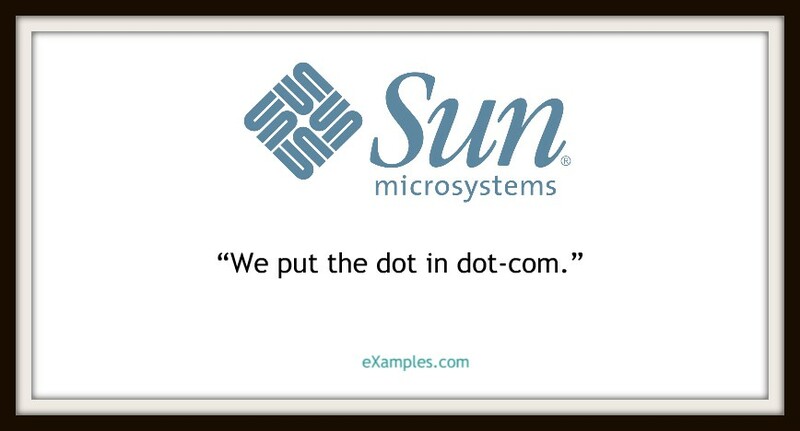 An example of a whole company’s mission in a nutshell. 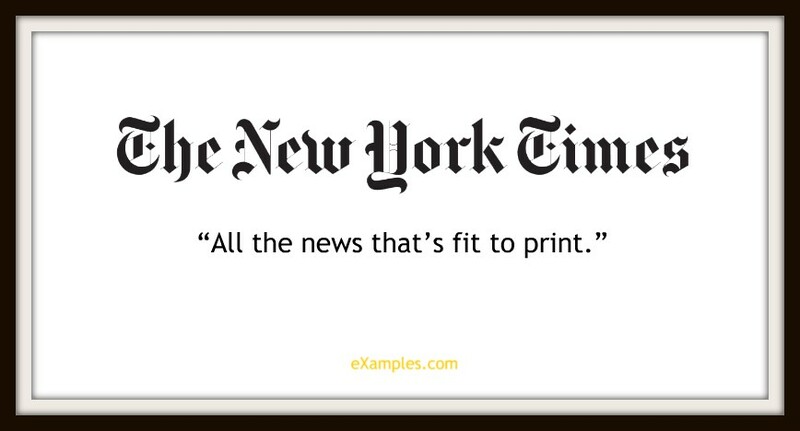 Selling themselves as the go-to authority for anything and everything that’s newsworthy and breaking out in the world. 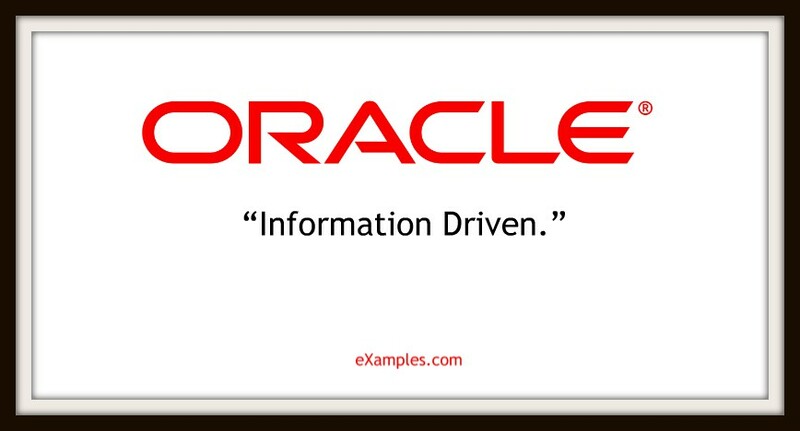 Part of their information-driven value, this concise slogan shows Oracle as experts in their field. Alludes to both lasting life value as well as the enlivening quality of their technology. And how can you argue with a whole generation? Majority wins. 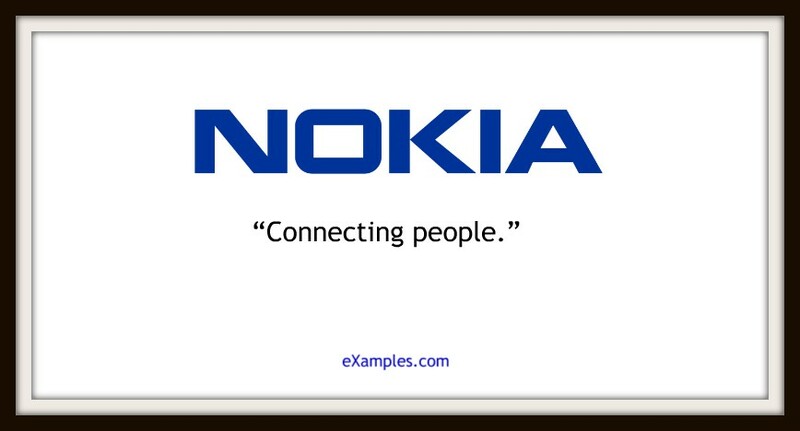 Rather vague, but it works for their communications strategy. A tantalizing invitation to get immersed in a whole new virtual experience without leaving your room. The mint with the hole. Read: You know who we are. They’ve become so iconic, this is all they have to say for themselves. And it works. You may also like essential elements to build your personal brand. Another classic way of setting oneself up as original and unmatchable. 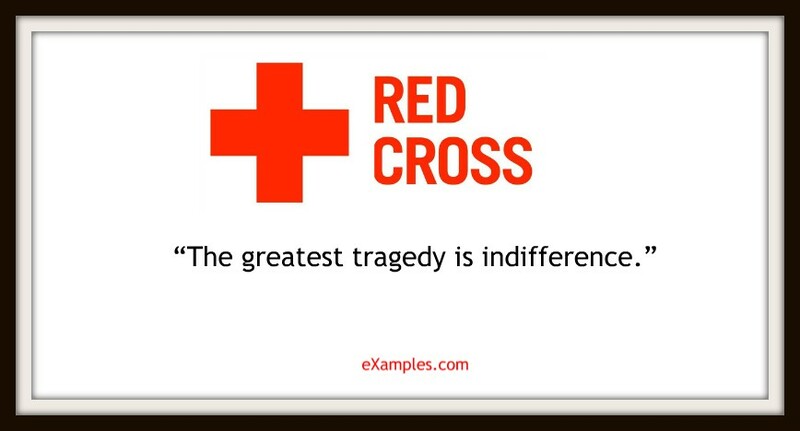 A call to arms for people to respond and cooperate in emergencies, where Red Cross will be the leader in care. Another product promise that delivers. The rush does make you feel like you’re soaring on an energy high. 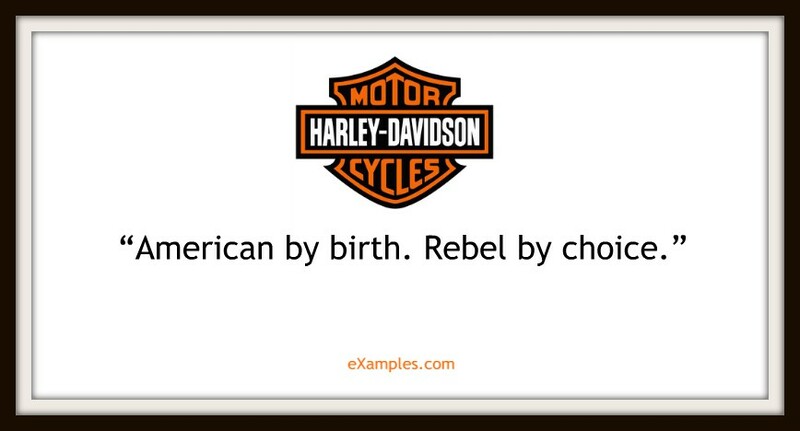 Classic way to inject individuality into its products, marketed to those with strong identities. How sweet. The biggest companies always know how to place themselves as empathic servants of their customers. This is both a promise of quality as well as a nod to the manufacturing team behind the products. 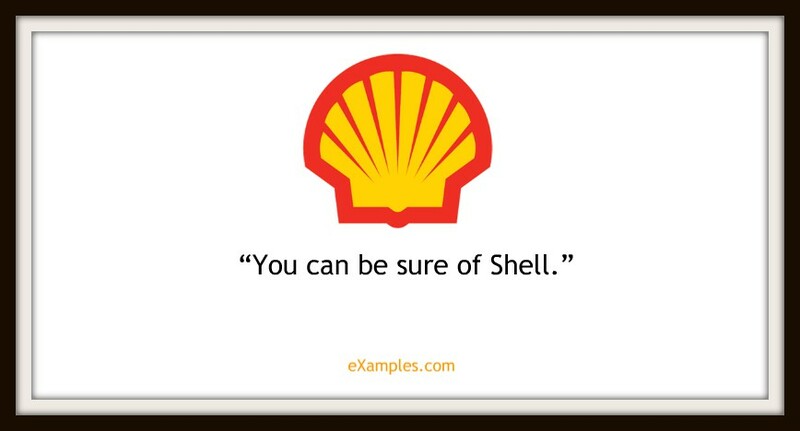 When it comes to an everyday high-stakes commodity such as fuel, reassurance of dependability is a good strategy for a slogan. You may also see examples of corporate branding design. Nothing fancy, but seems sincere. Instantly winning. 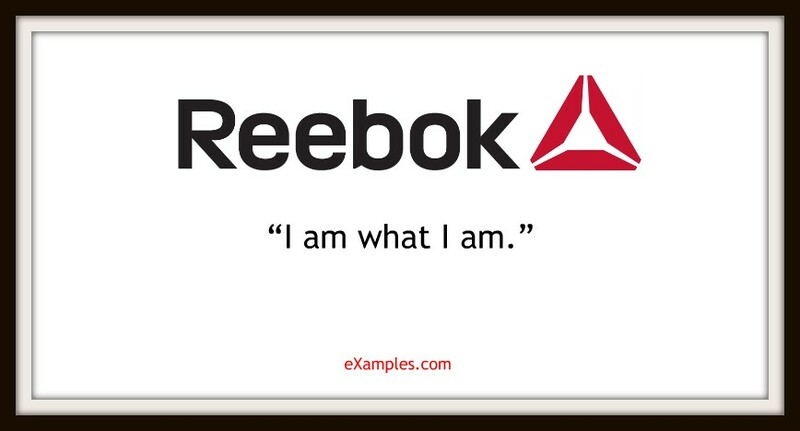 An example of a self-strong, iconic brand confident in its place. All it has to say is, “it’s me,” and that’s all you need to know. A call to action if there ever was one. 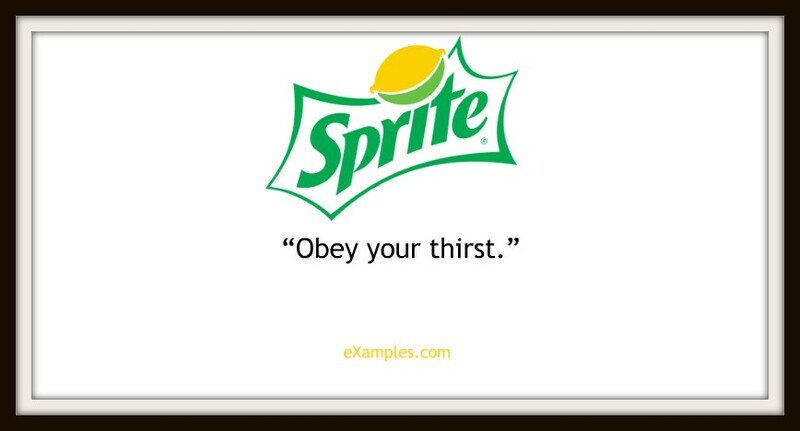 Part of Sprite’s ad campaign. That definitely distinguishes itself from many other fast food joints. 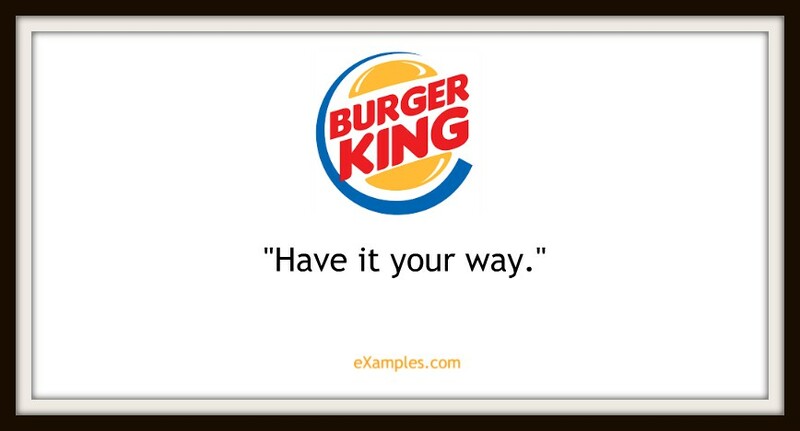 Compare with its other ad slogan: “The way a sandwich should be.” Both amplify quality and customer preference. You may also like tips for creating and maintaining successful corporate branding. Talk about labeling yourself as indispensable and ubiquitous. Here is a good example of that. The perfect invitation for a Friday night and a long week behind you. 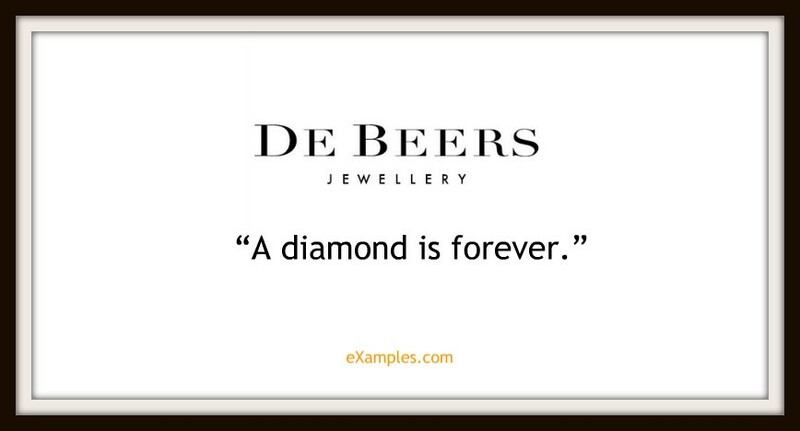 A clever use of the brand name and a simple analogy to make its promise memorable. 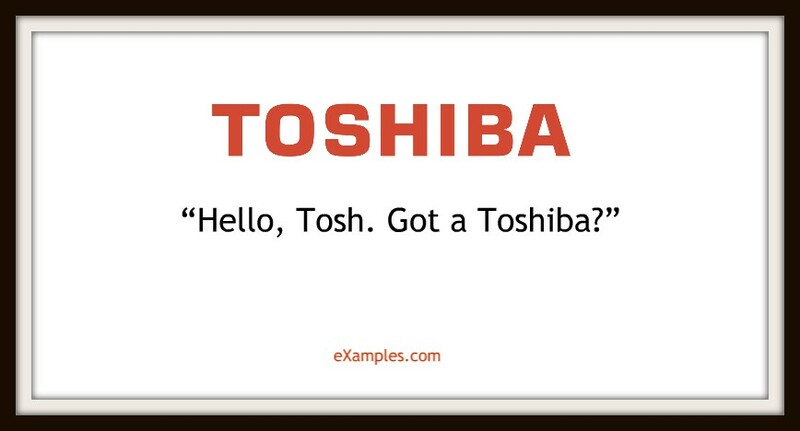 This might need explaining for those who don’t know that Toshiba rewrote the lyrics of the hit song “Ullo, John! Got a New Motor?” as part of an ad campaign. But is sure is catchy. This was meant to be funny…but turned out almost scarily accurate, given that this giant car manufacturer is literally everywhere. Plays on the idea that if everyone’s using it, it must be something good. 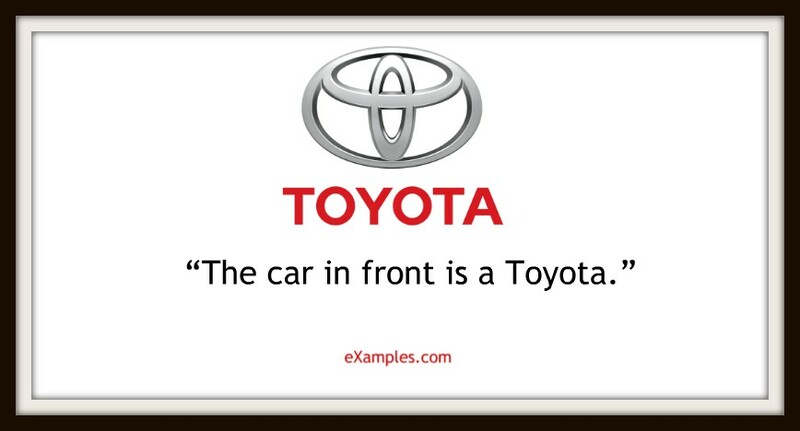 Another version of Toyota’s logo is “Let’s go places.” You may also check out the critical difference between logo design and branding. Showcases the airline’s expert affinity for the open blues. Humanitarian and inclusive, rightly valuing the human mind no matter where that mind grew up. 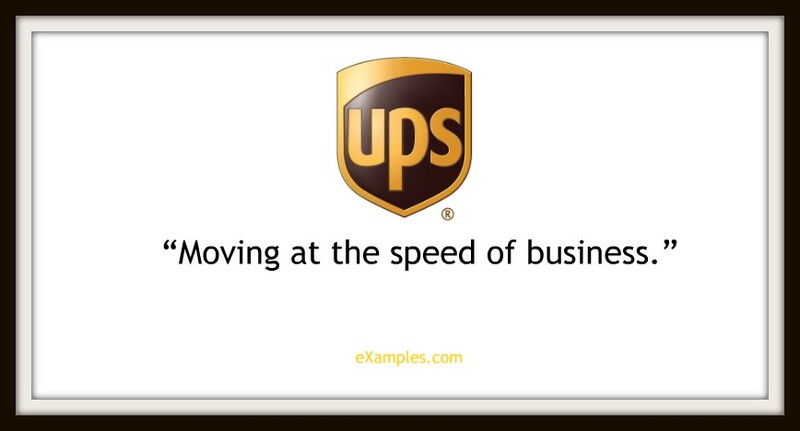 For those in high-speed sales and the chaos of the ground floor, UPS’s tagline will sound like a lifesaver sent from heaven. Here is another example of a company that understands its customers. You might be interested in tricks to improve your website’s branding. Another example of an organization that understands its clients, understands what we want, and what it can do for us. 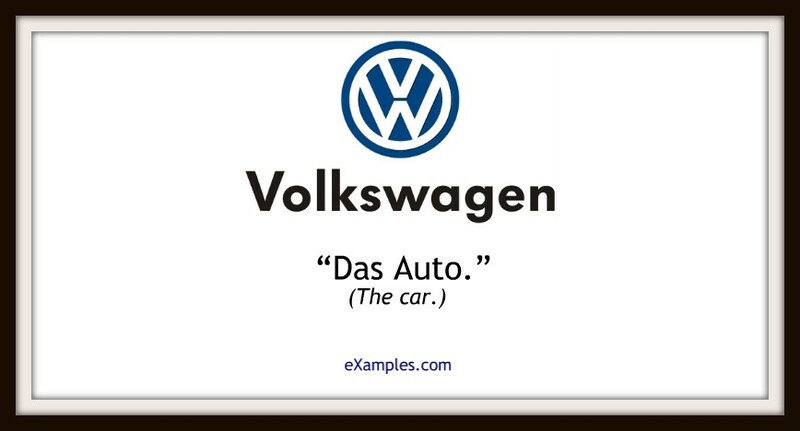 Another company pointing out its standalone quality, the definition of the vehicle itself. Another car company with a big promise of enduring. It also sounds like a toast to good health. Establishing itself as a partner in your chase for everything you ever wanted in life (and the funding for it). 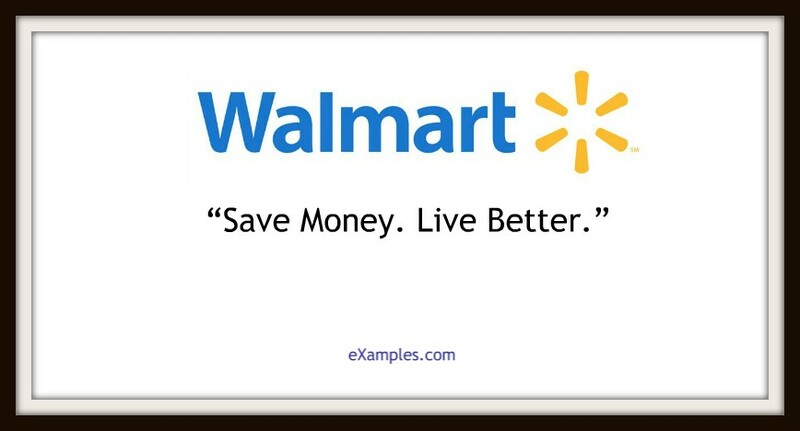 Putting more value into shopping at bargain places like Walmart. Yes, the US state has a brand image. 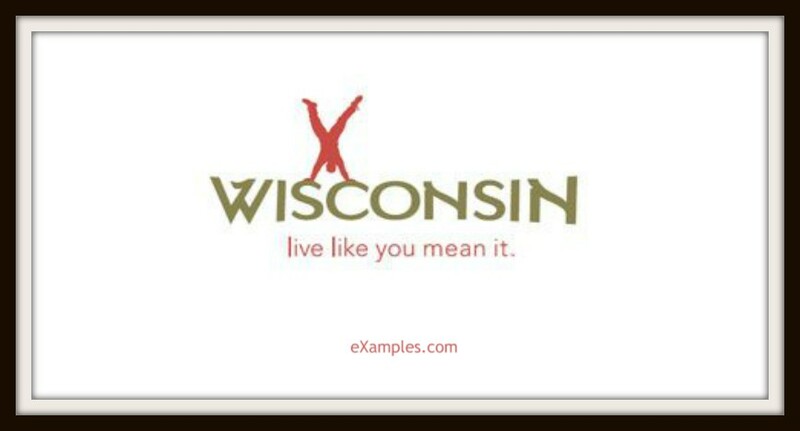 Word on the vine is that apparently “America’s Dairyland” was not a good enough tagline for them. The biggest companies always know they have to appeal to a bigger mission aside from the mundane but essential stuff they mostly cater to. Here we see a neat way to present the convenience of their service: no longer do you have to actually walk to a brick-and-house establishment to get what you need. 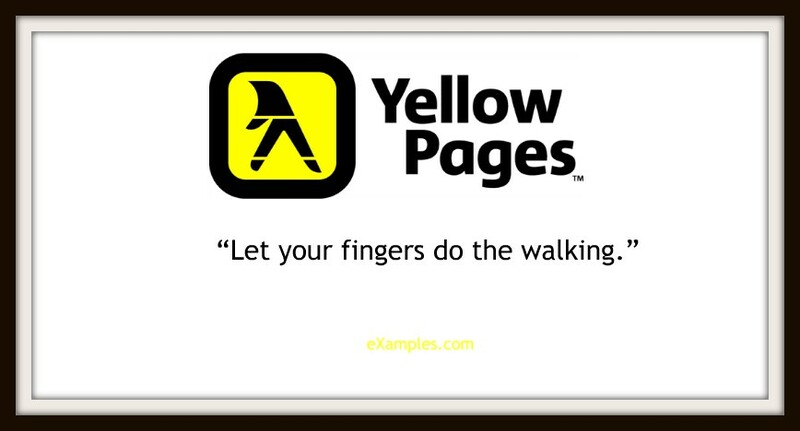 Just consult the yellow pages. You may also like effective food branding ideas. 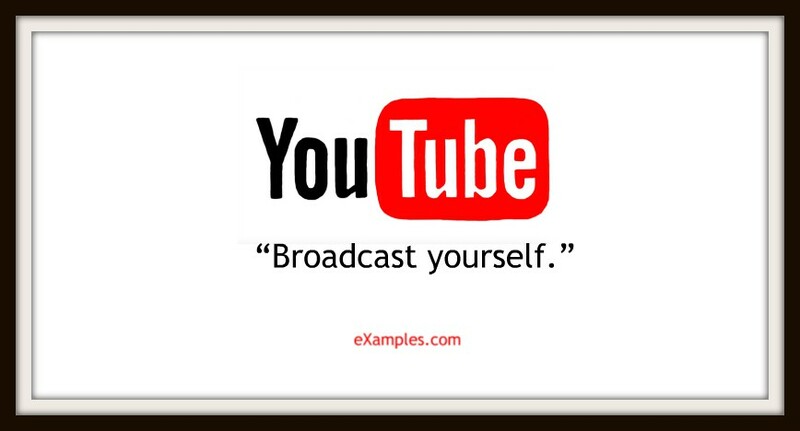 YouTube’s message is what convinces so many of us to give it a shot: We are all stars, directors, screenwriters, and producers now. 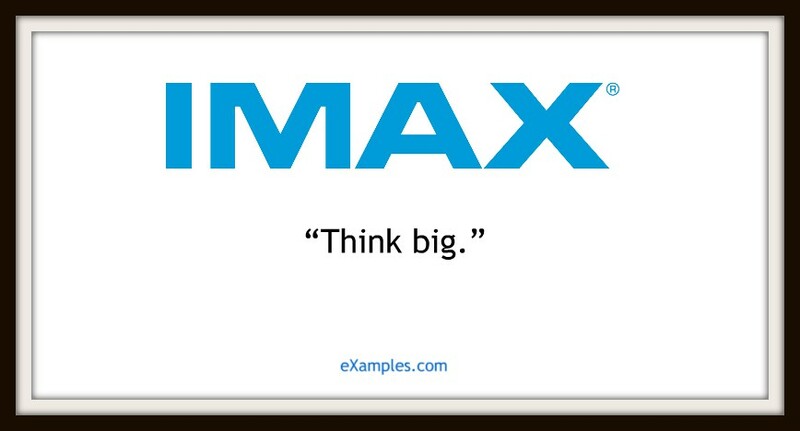 Your slogan can be as long as a sentence or a single word. Any more than that and it ceases to be a slogan. You might as well go back to the drafting board, or move something to the mission statement or the vision statement where it can do more good. You may also see types of marketing styles in doc format. 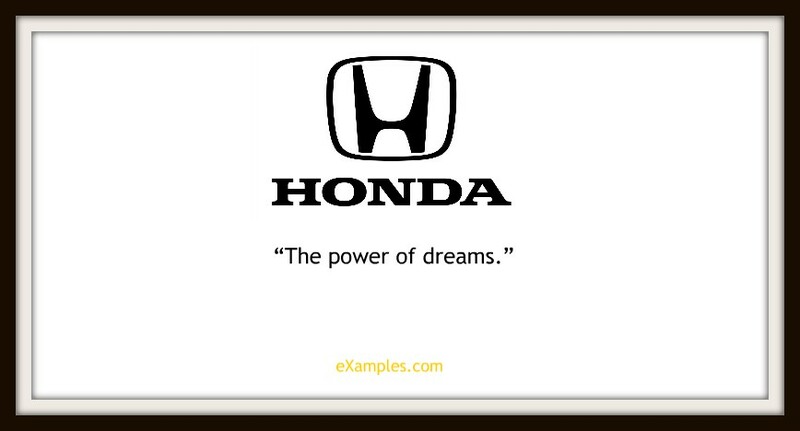 But before you can begin to dream up the rallying cry for your company, let’s get it clear first what a slogan is, and what it is not. Make your tagline a rallying cry for anyone who hears it—even if it is just a reminder for yourself for what your brand stands for.